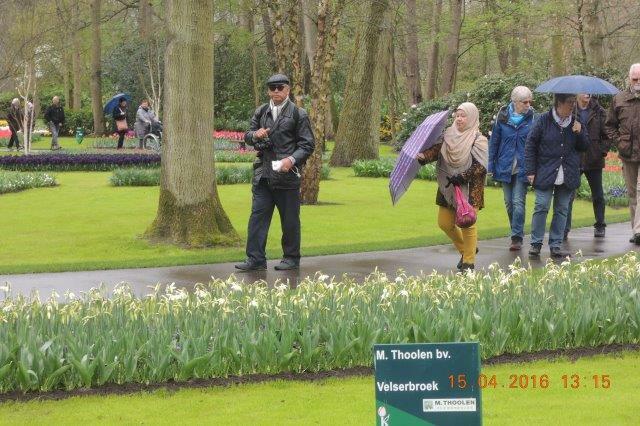 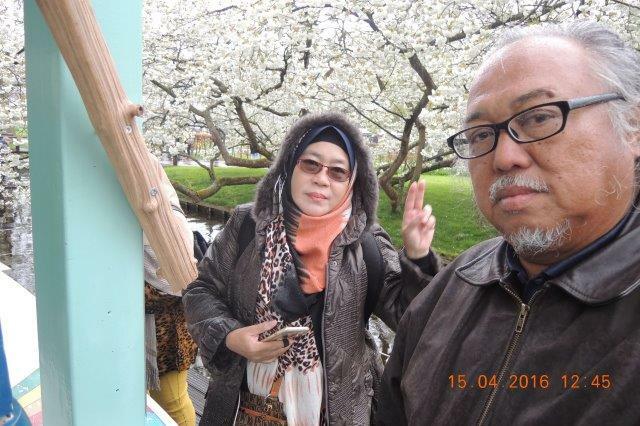 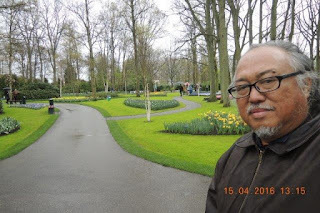 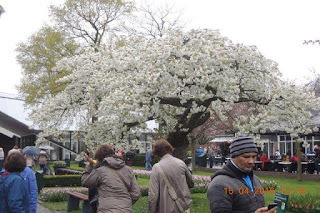 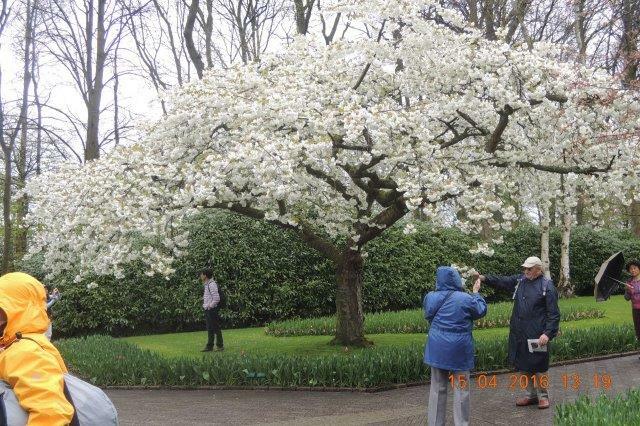 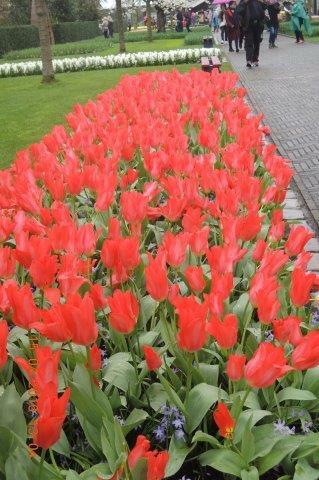 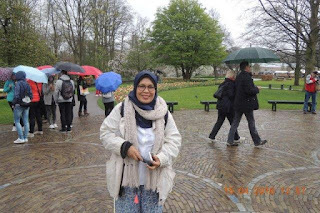 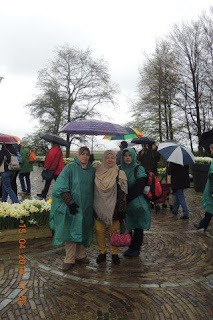 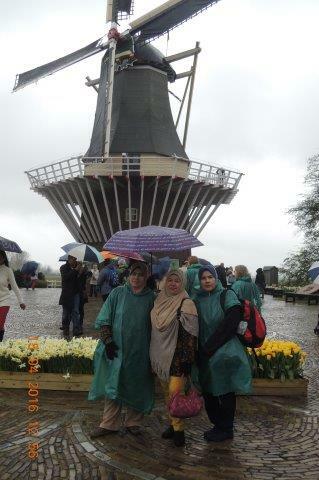 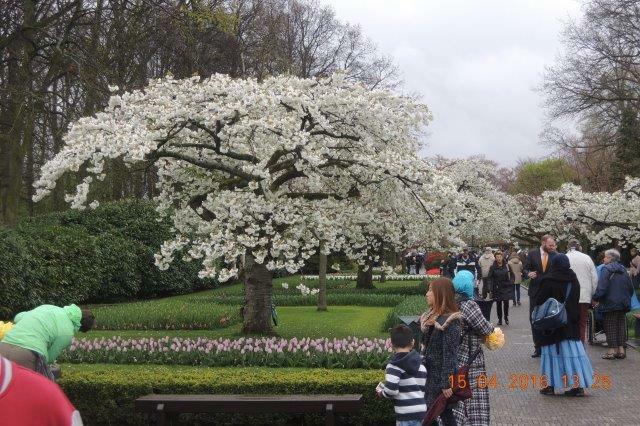 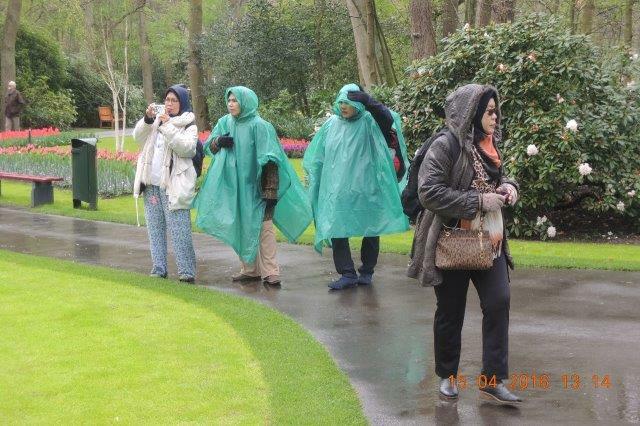 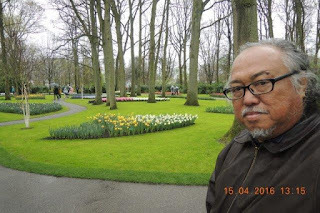 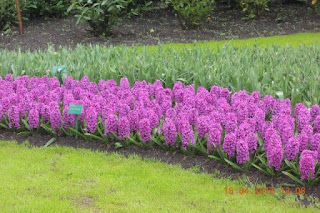 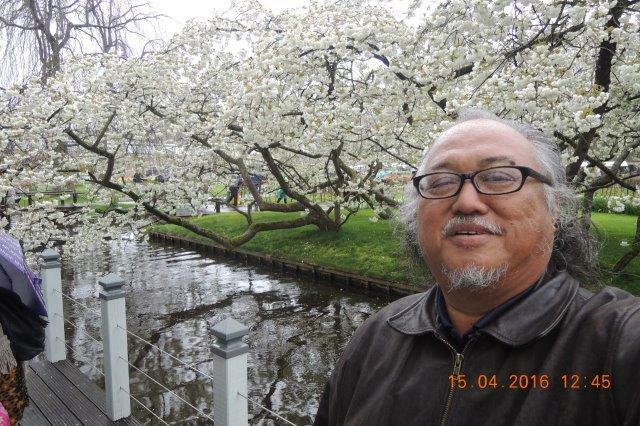 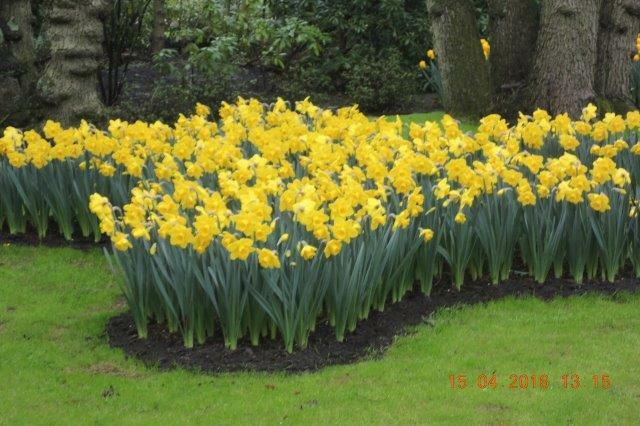 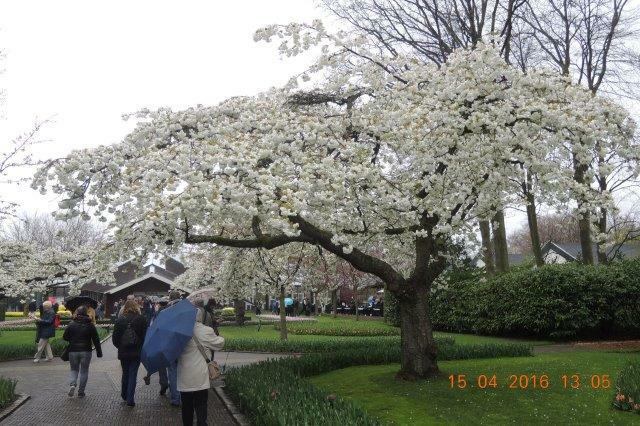 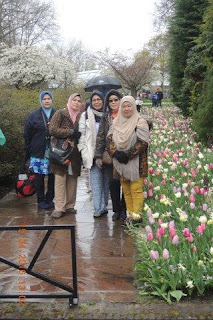 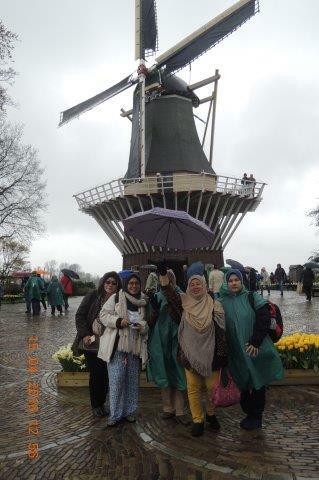 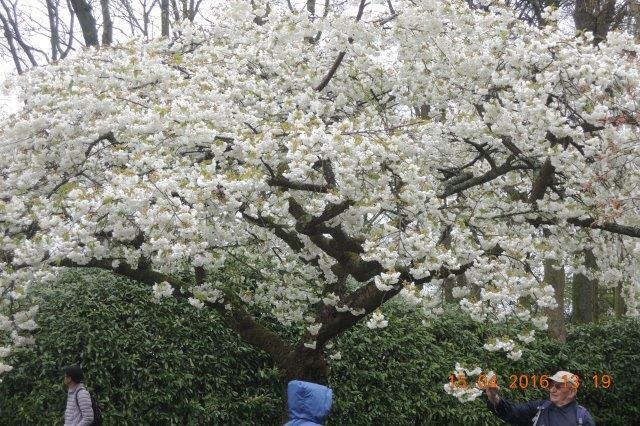 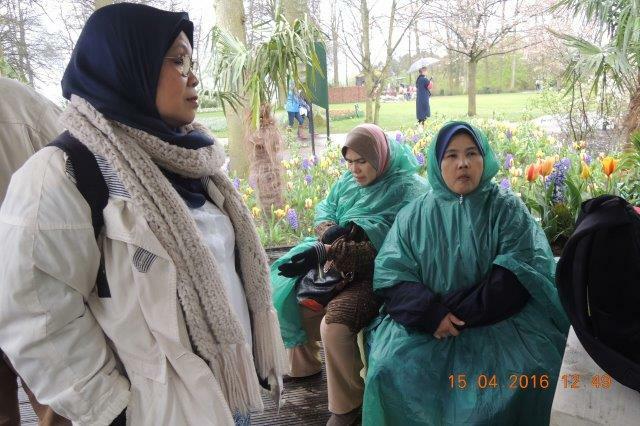 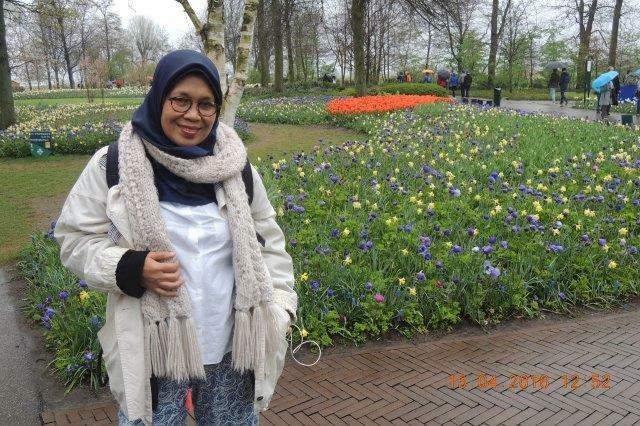 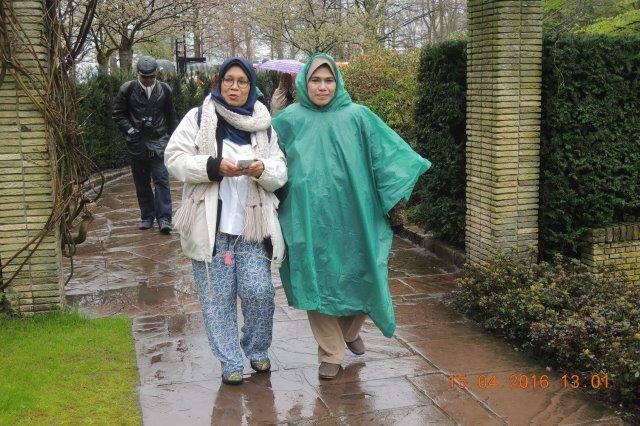 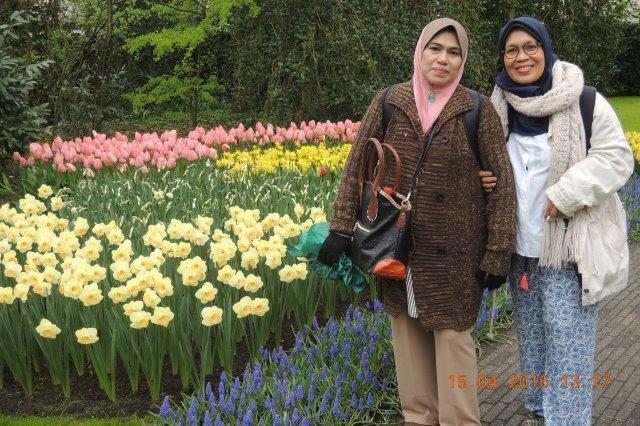 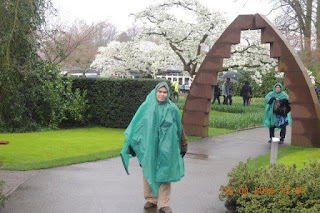 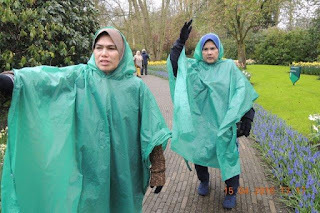 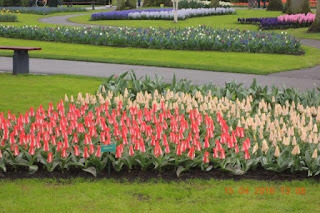 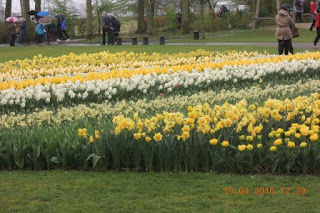 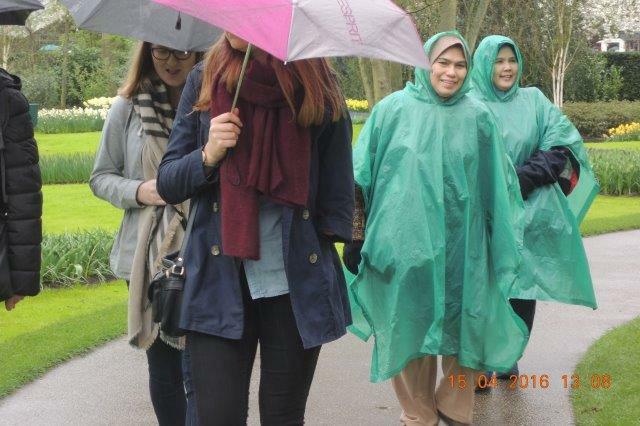 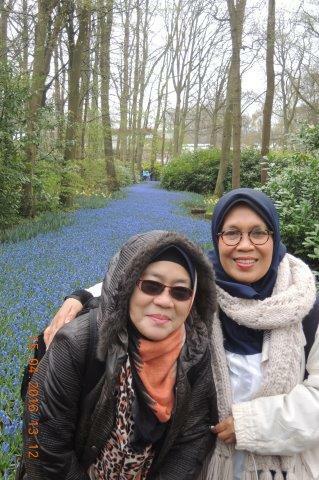 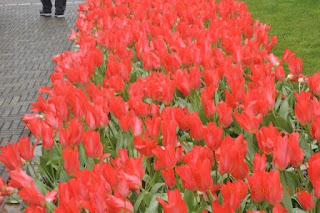 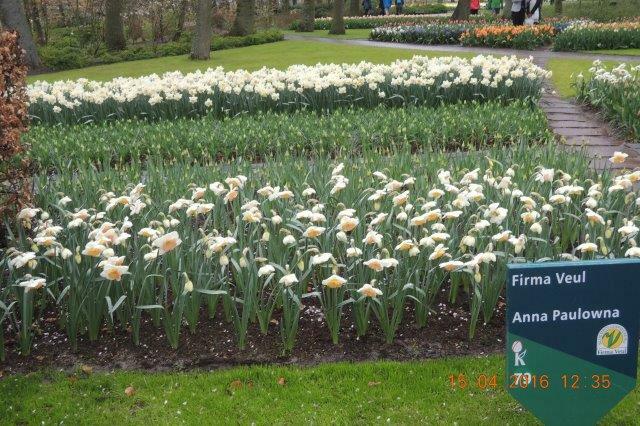 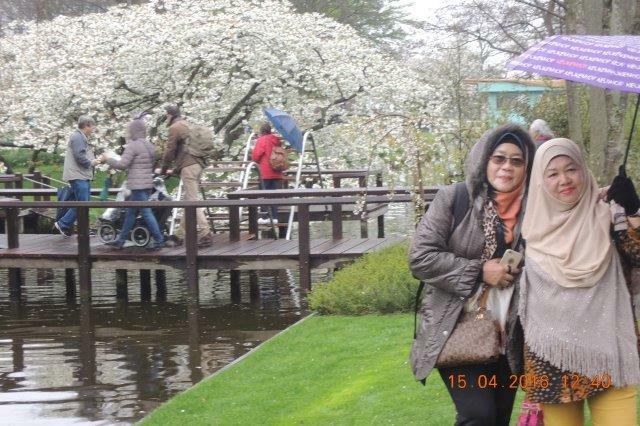 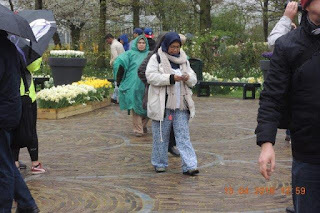 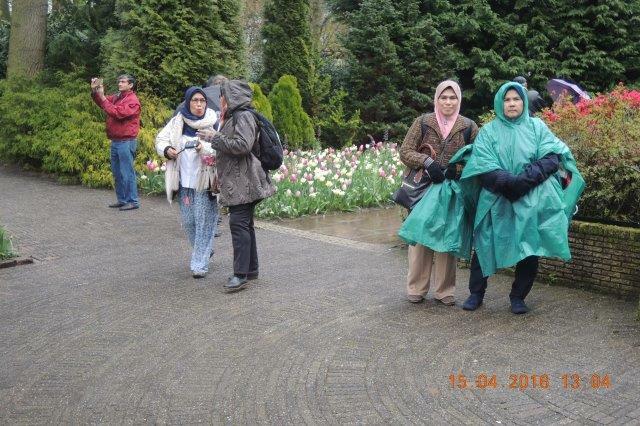 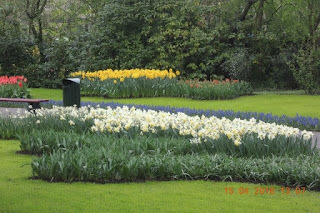 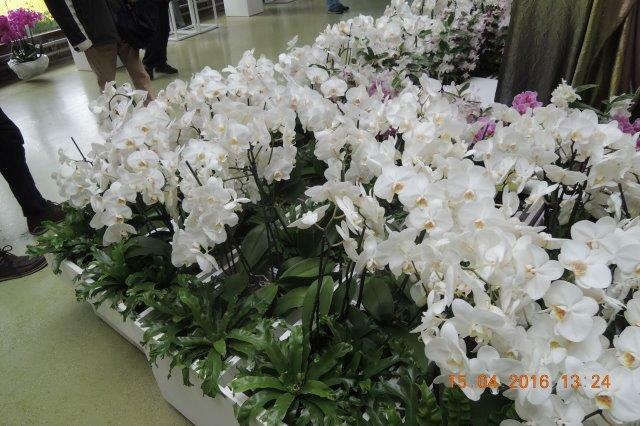 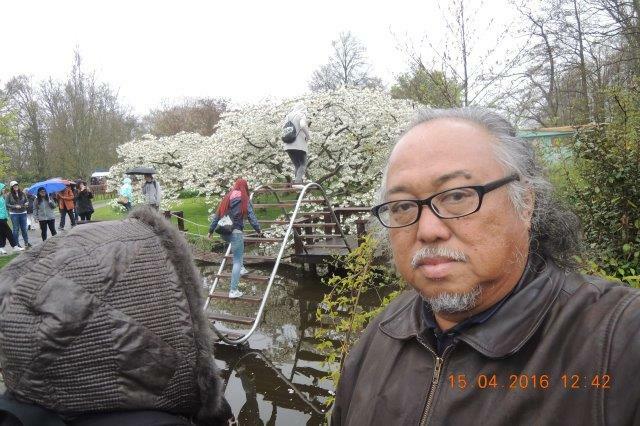 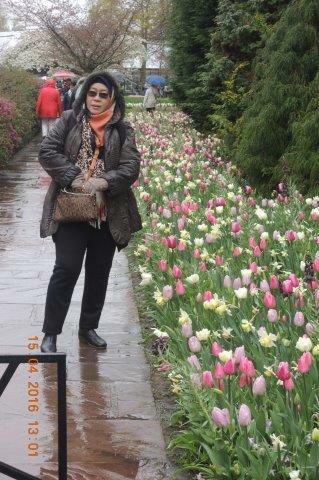 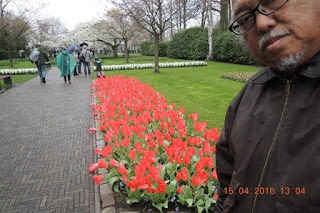 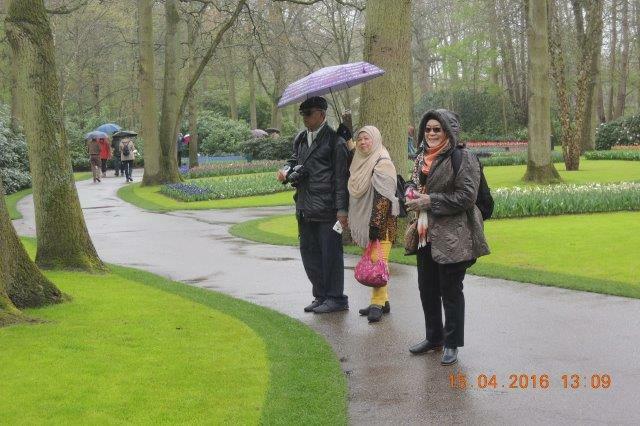 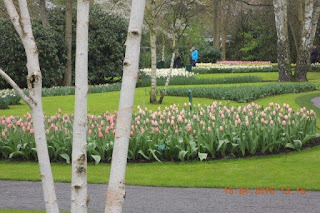 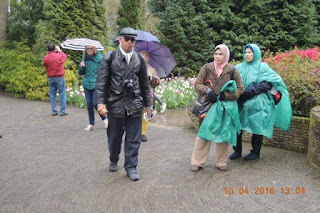 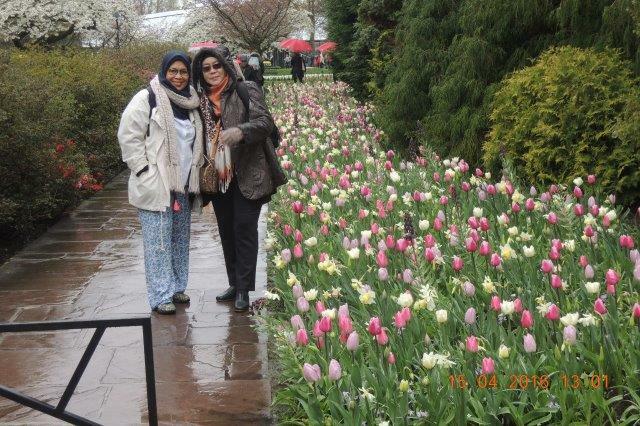 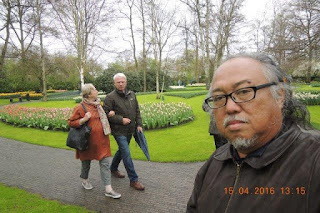 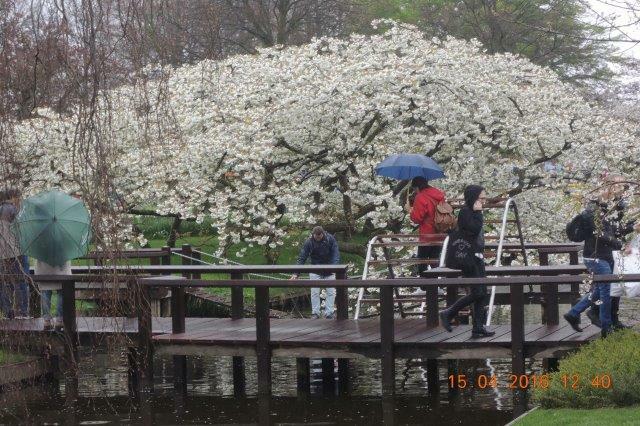 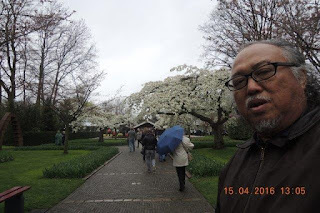 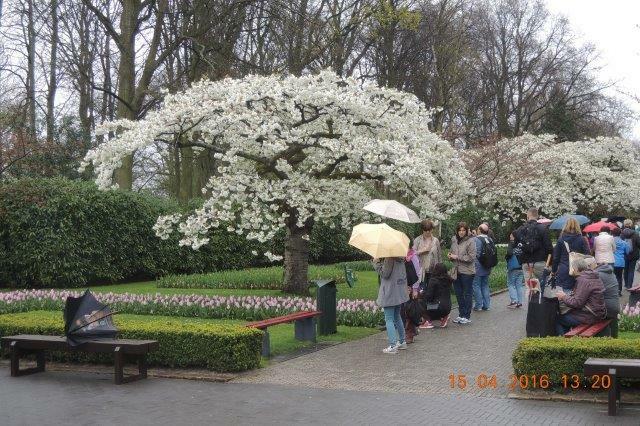 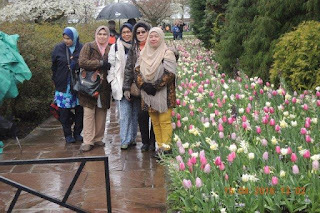 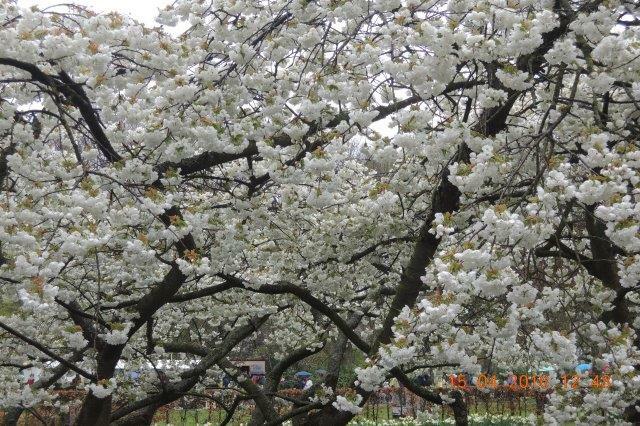 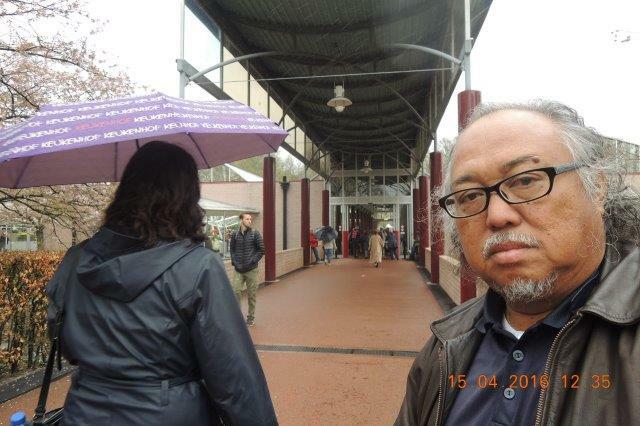 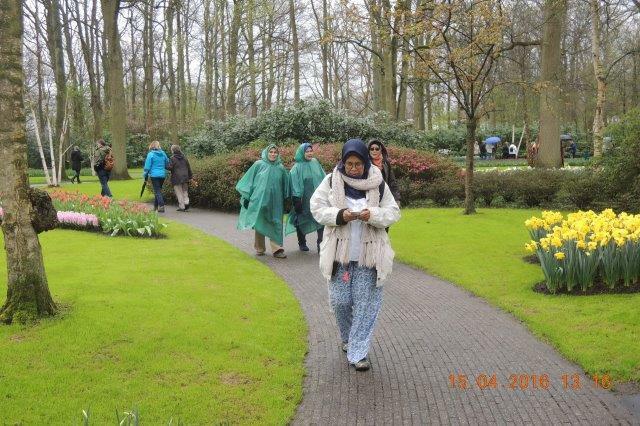 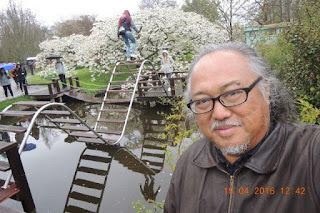 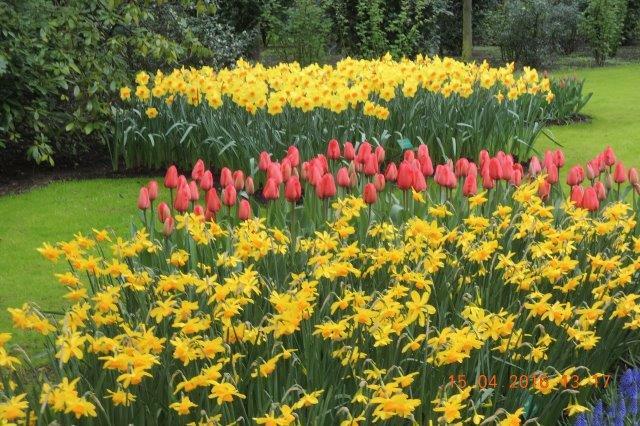 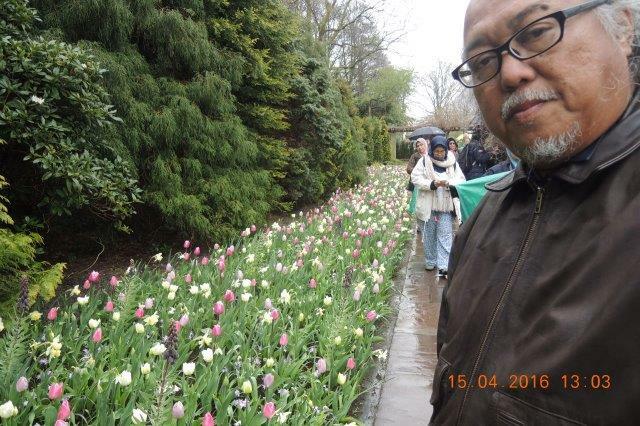 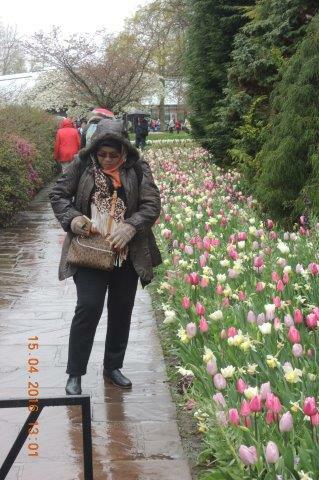 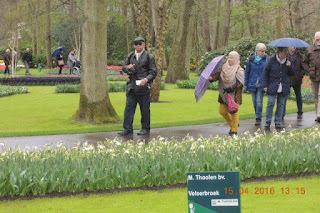 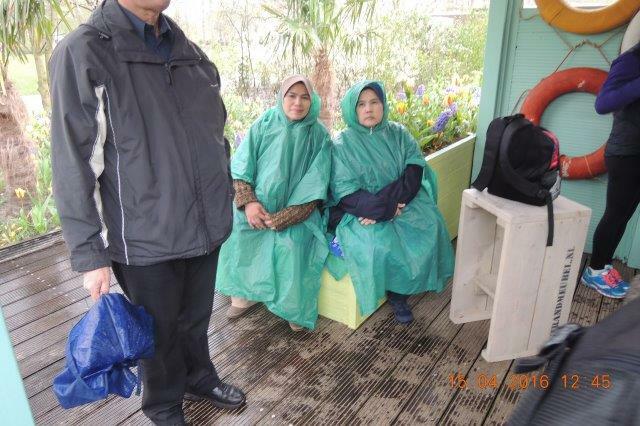 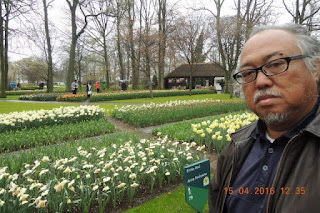 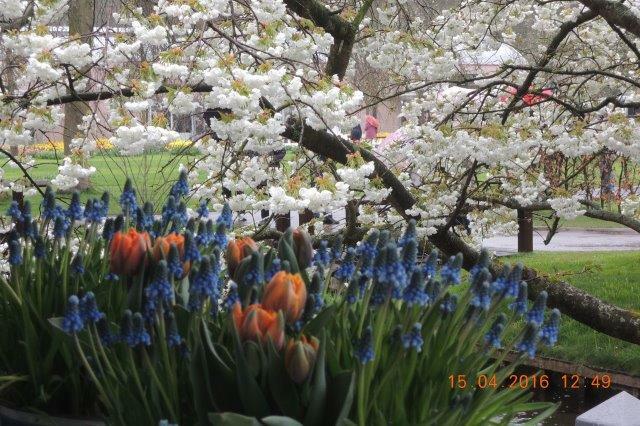 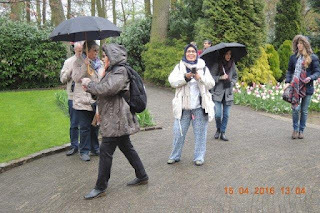 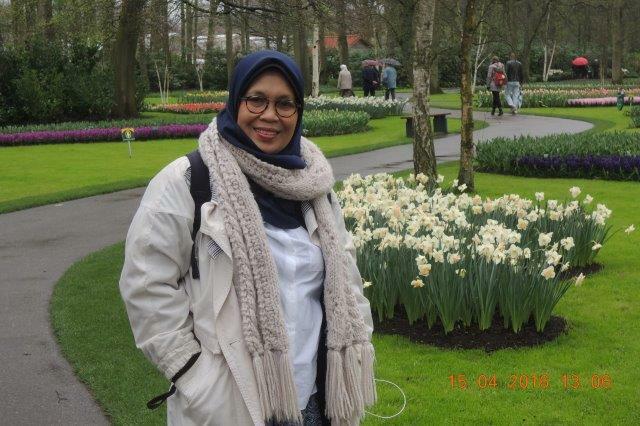 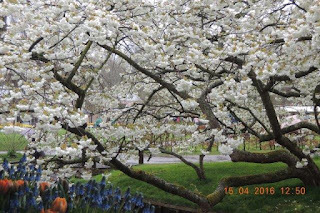 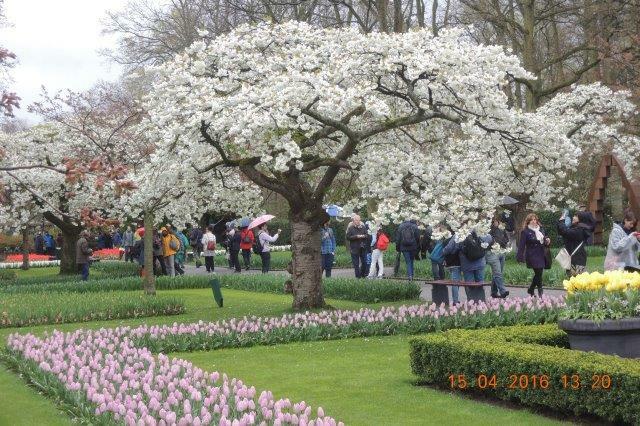 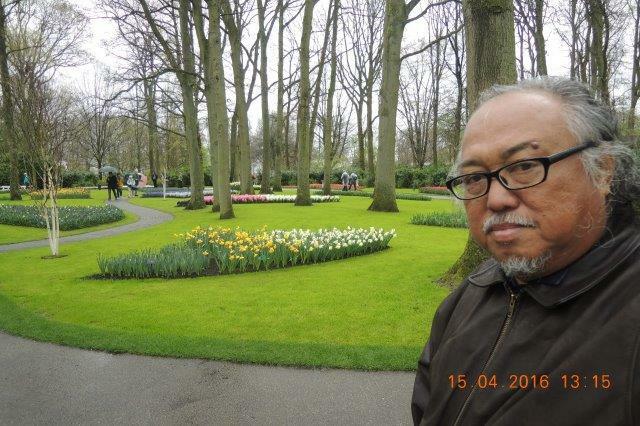 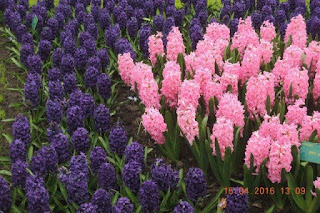 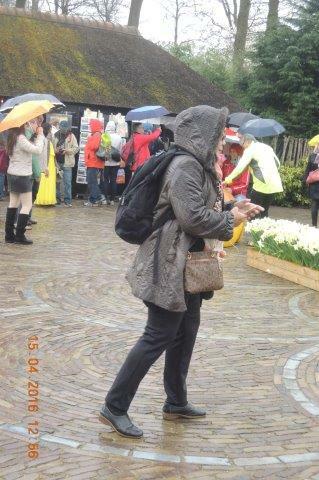 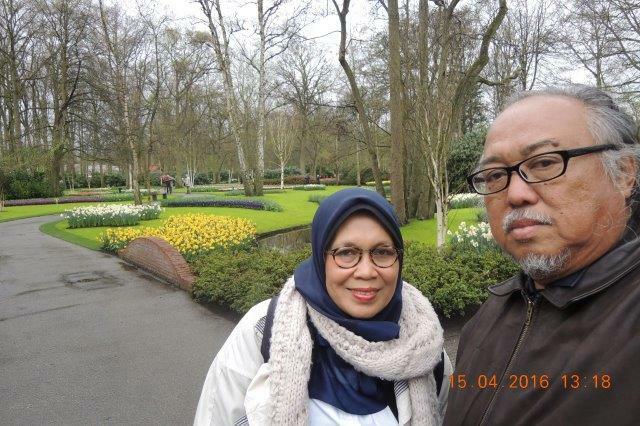 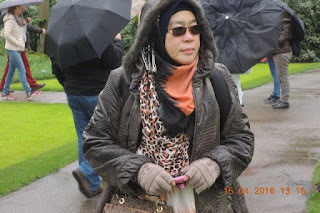 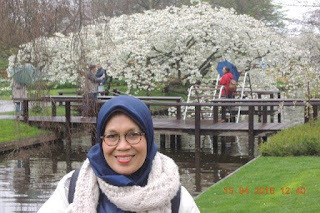 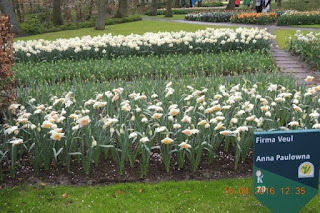 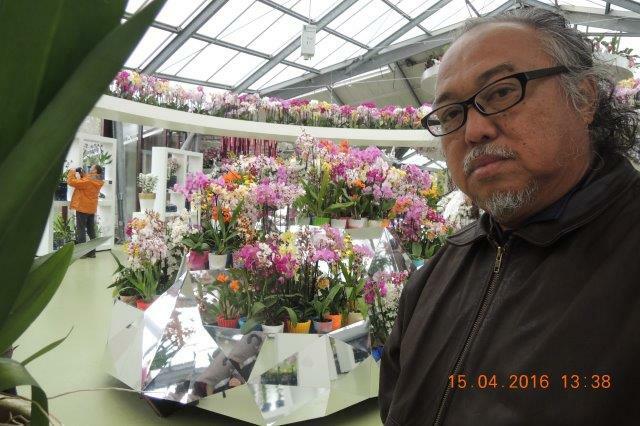 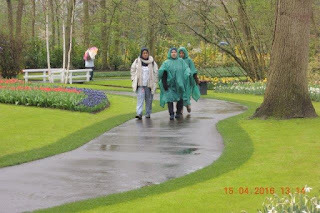 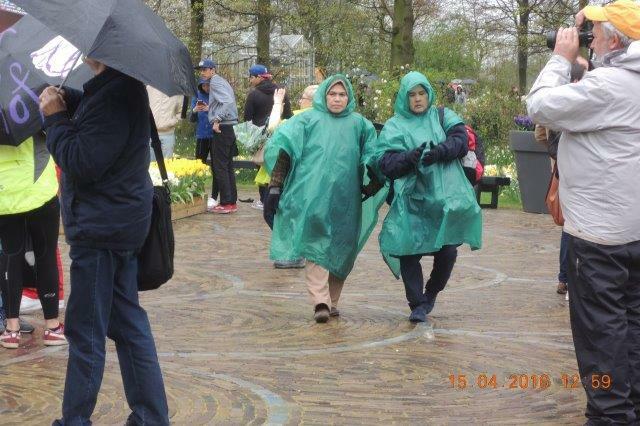 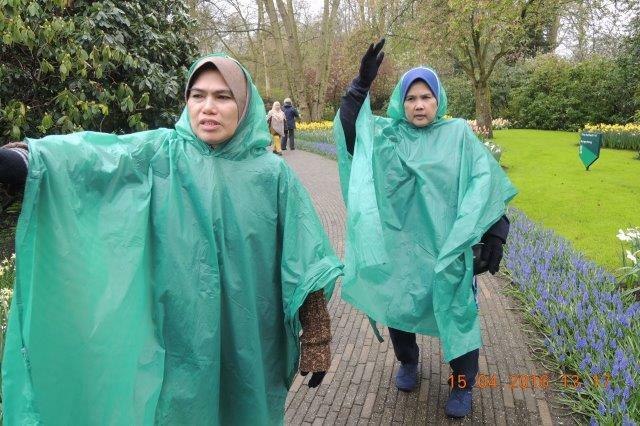 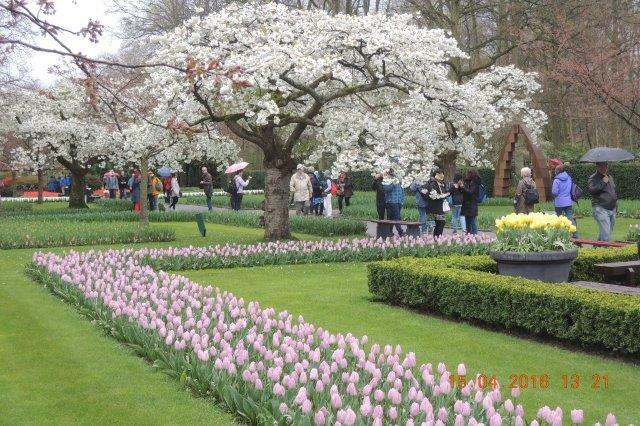 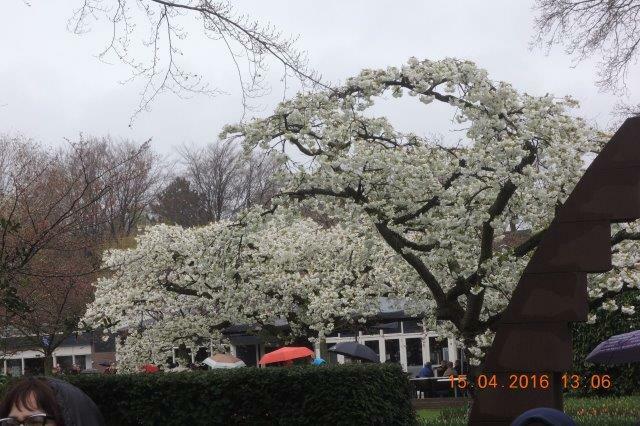 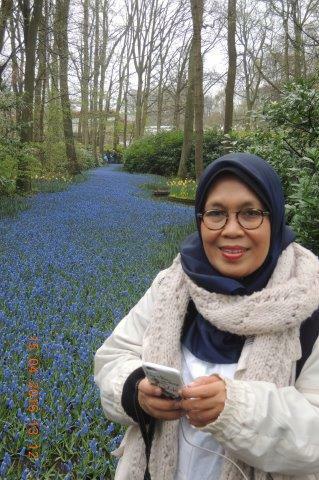 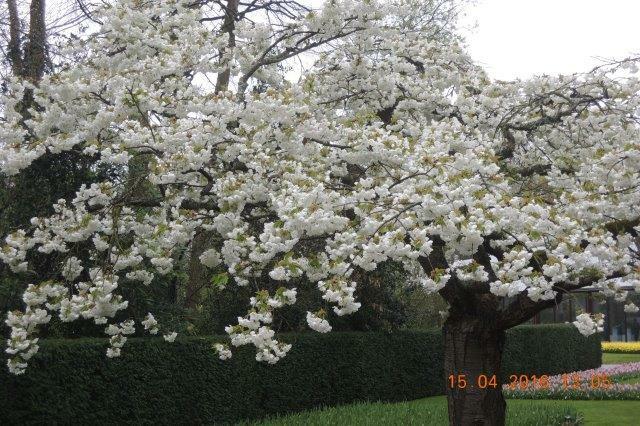 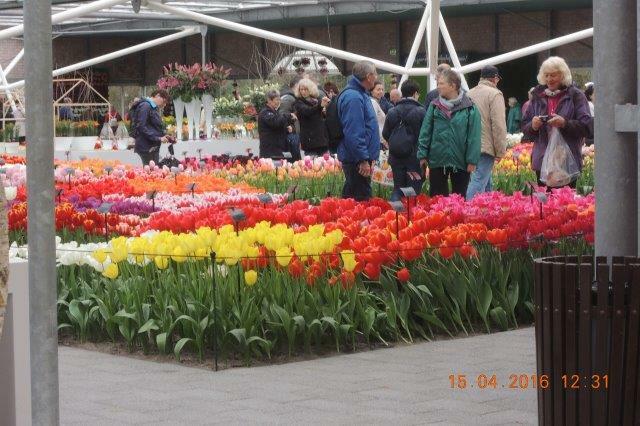 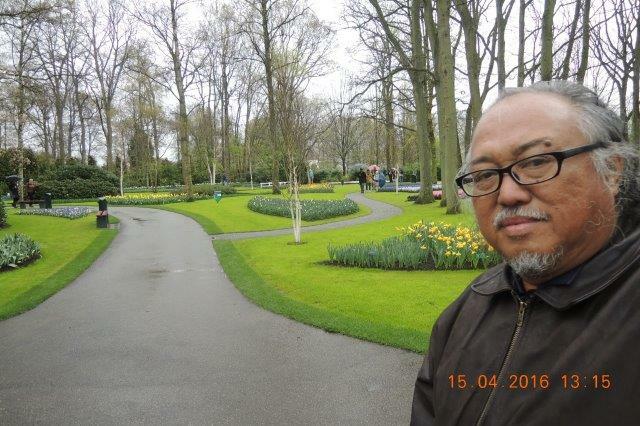 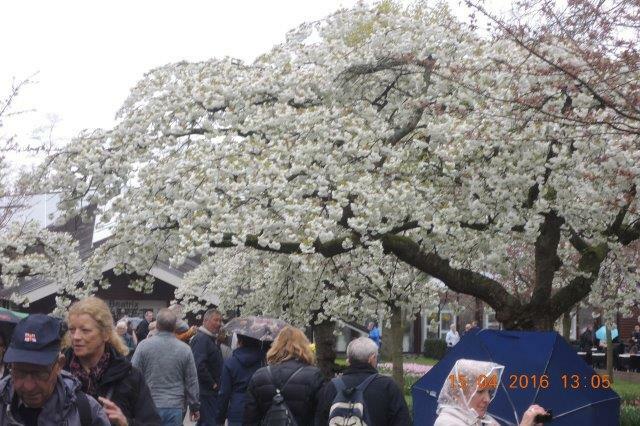 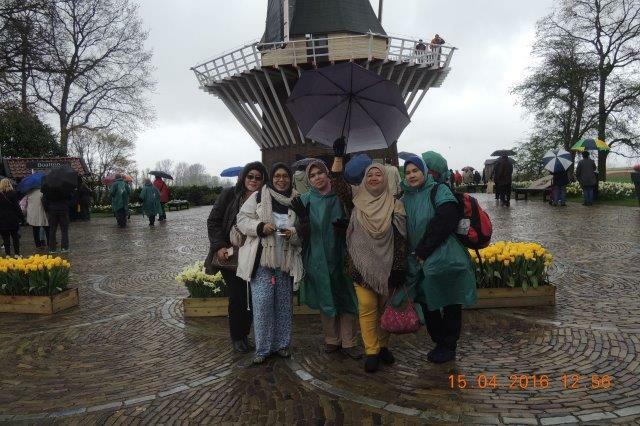 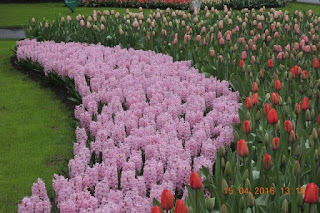 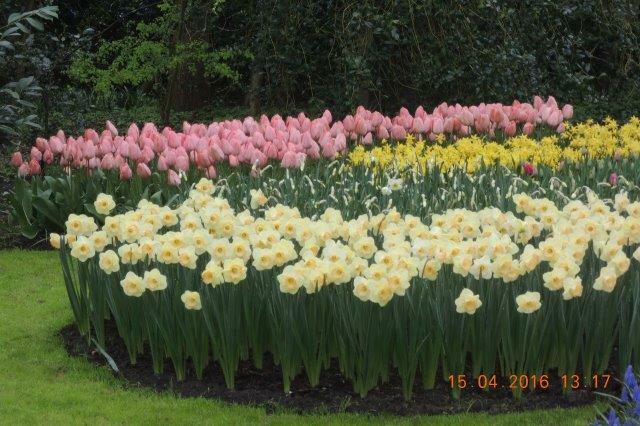 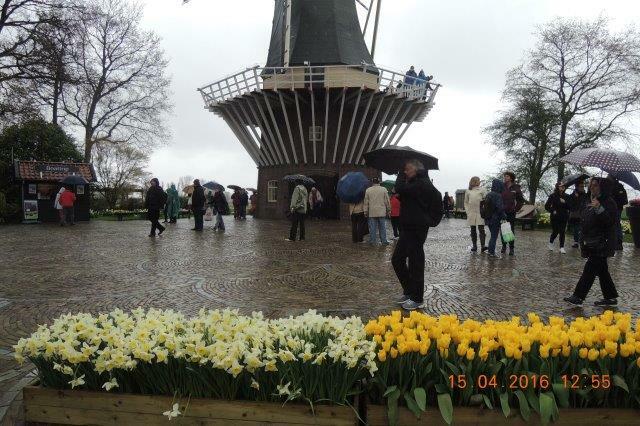 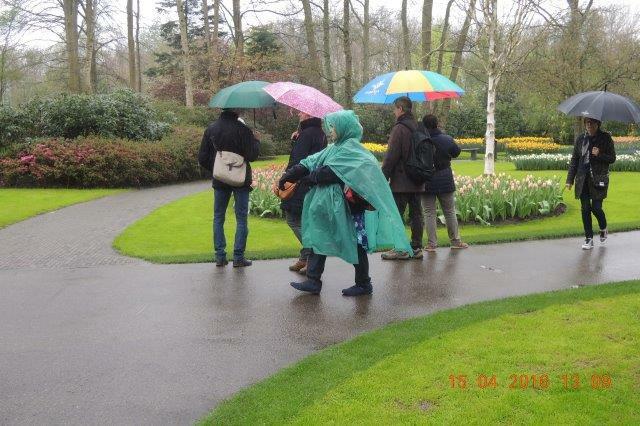 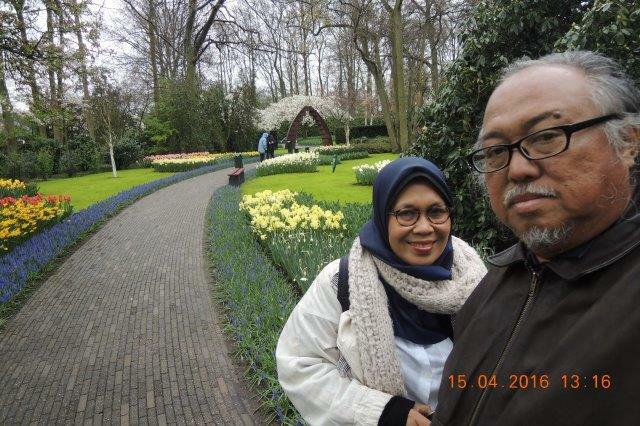 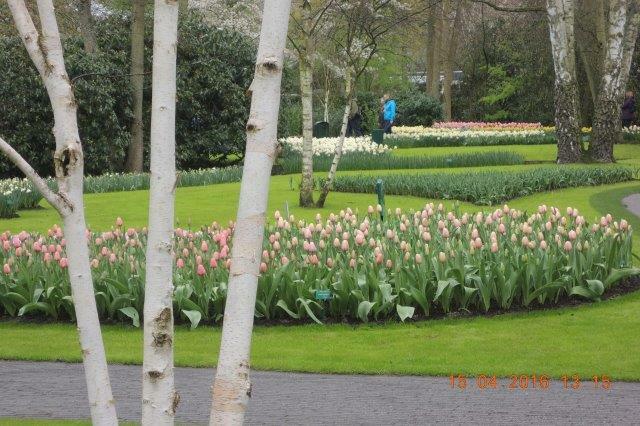 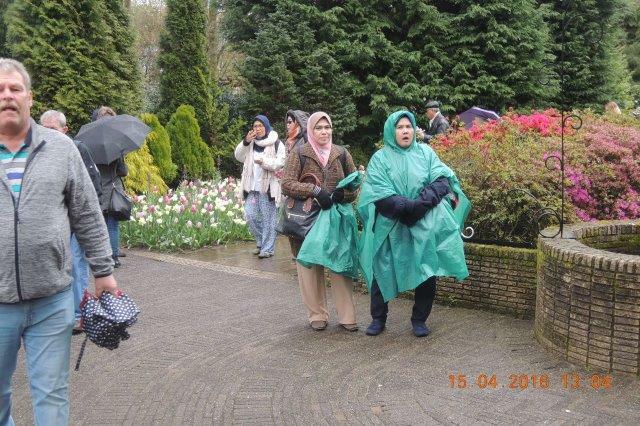 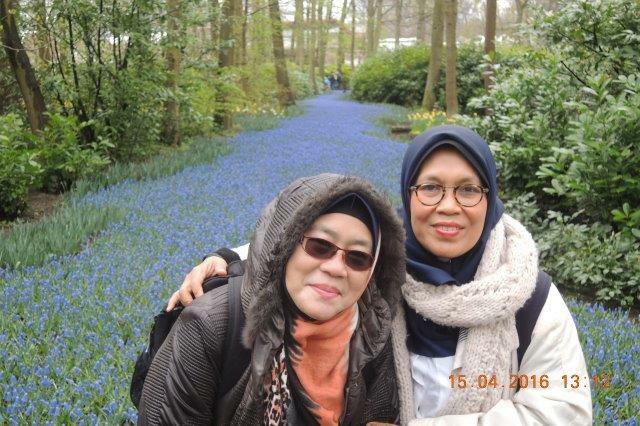 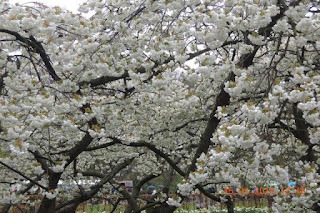 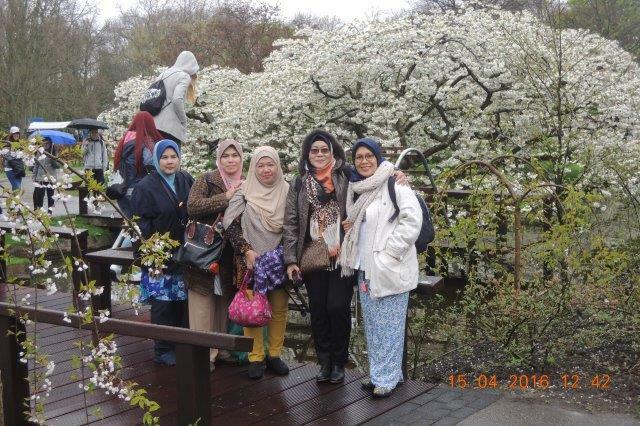 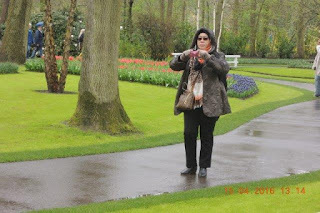 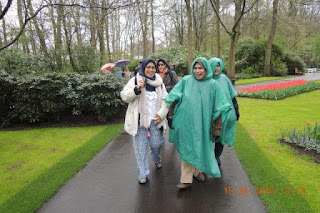 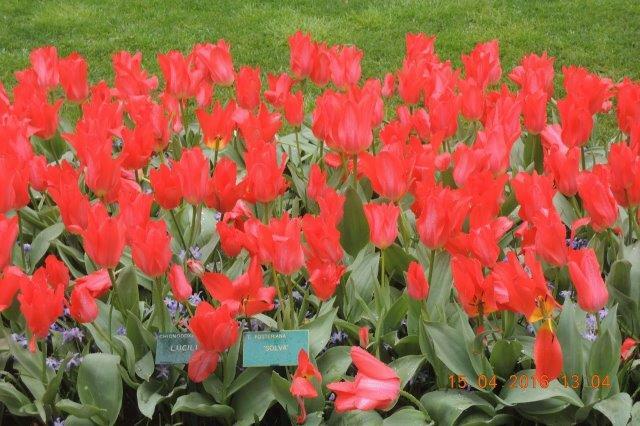 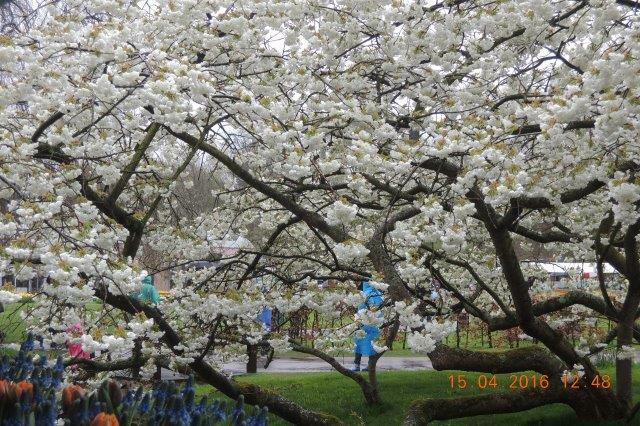 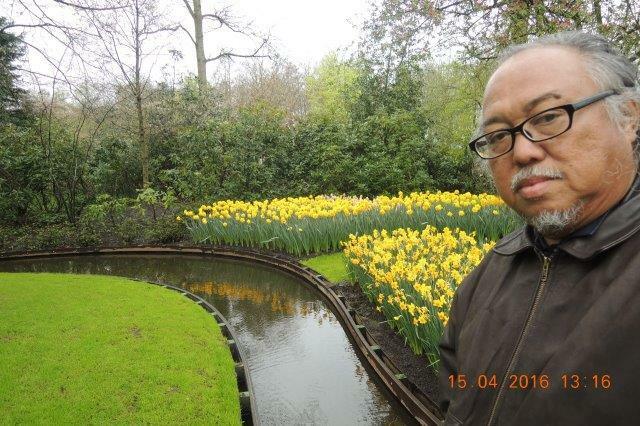 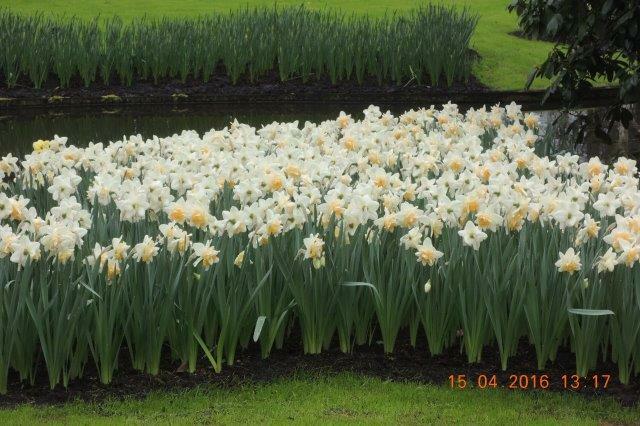 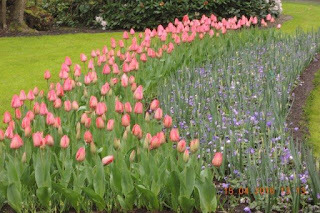 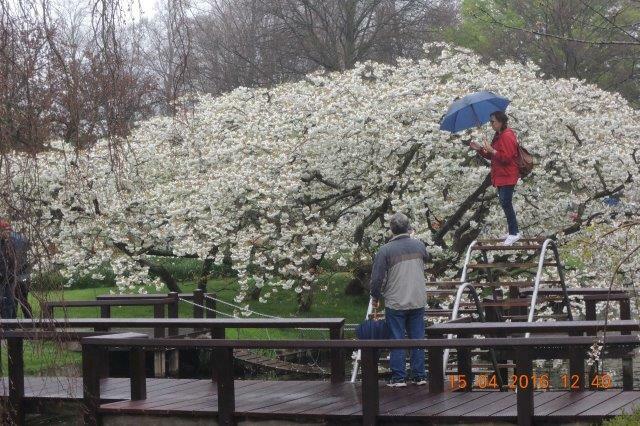 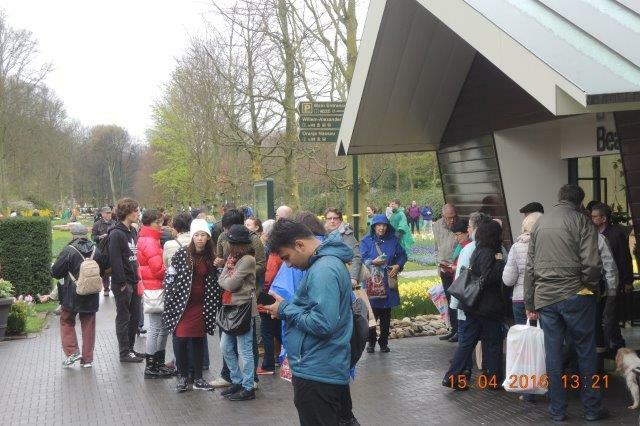 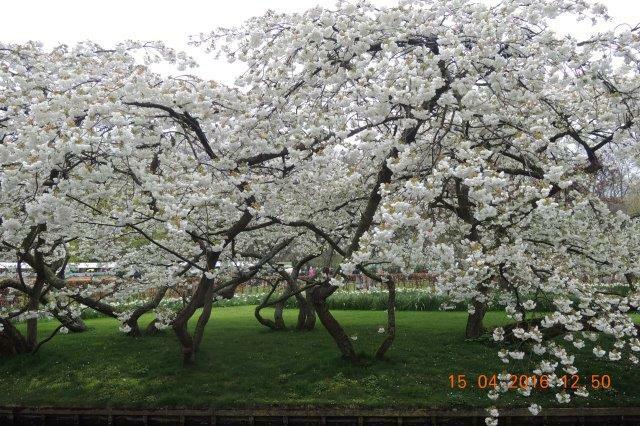 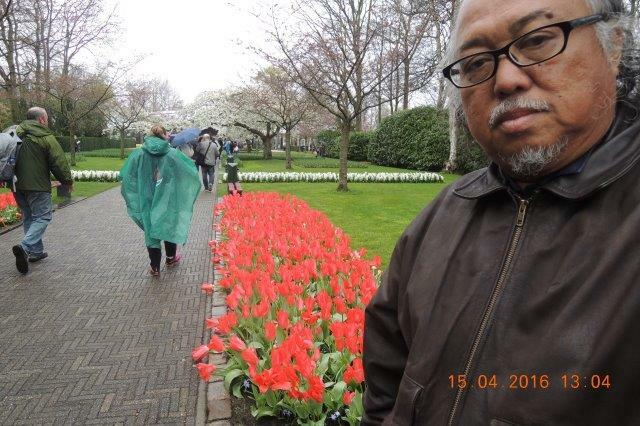 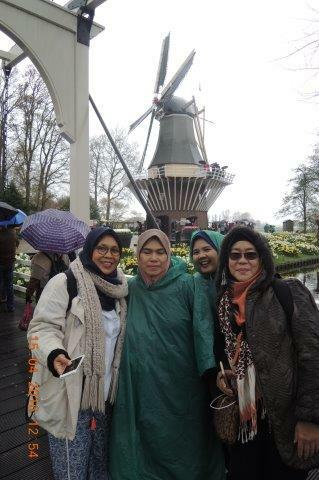 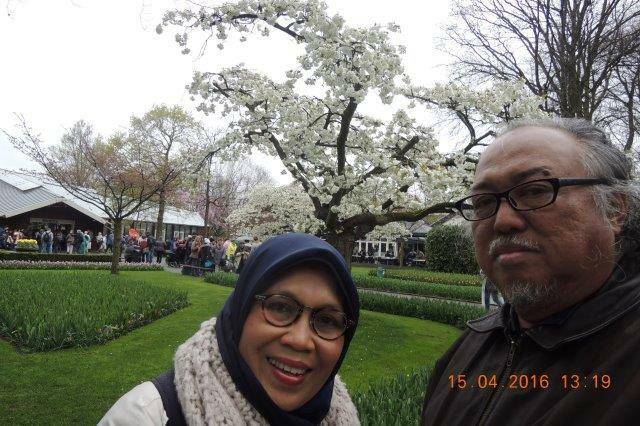 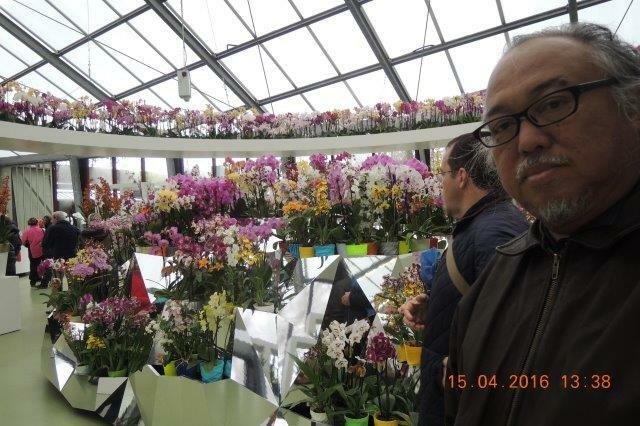 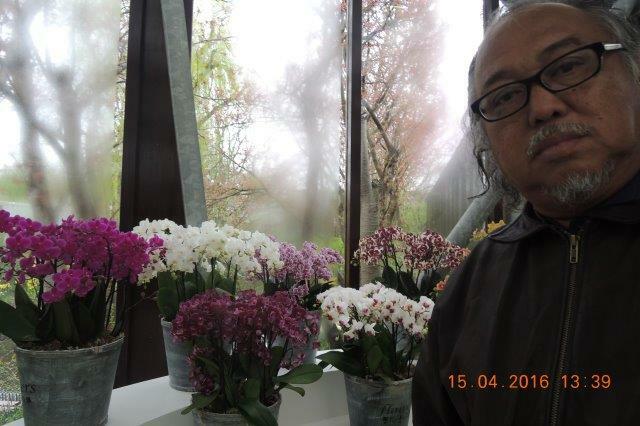 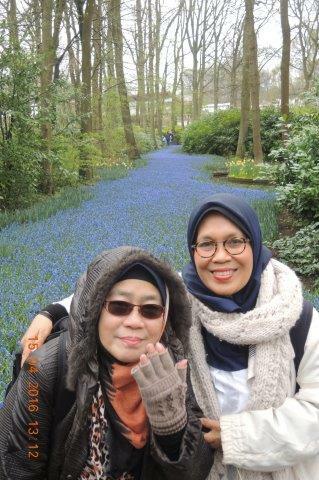 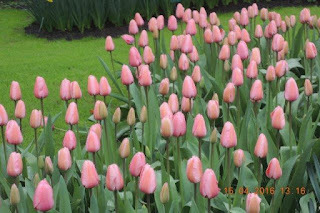 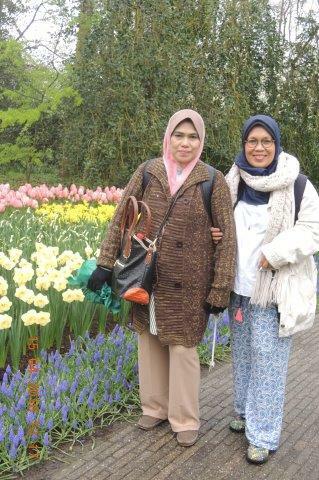 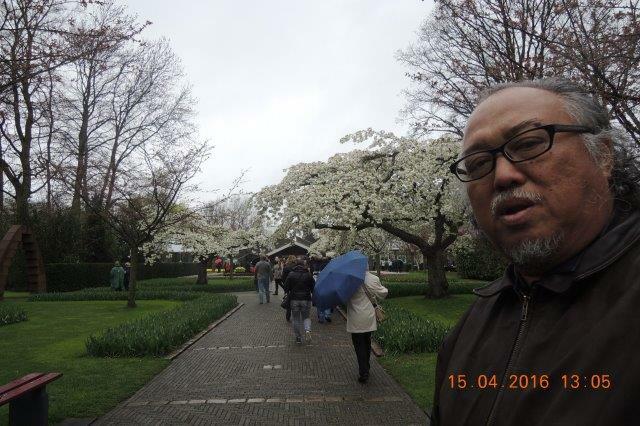 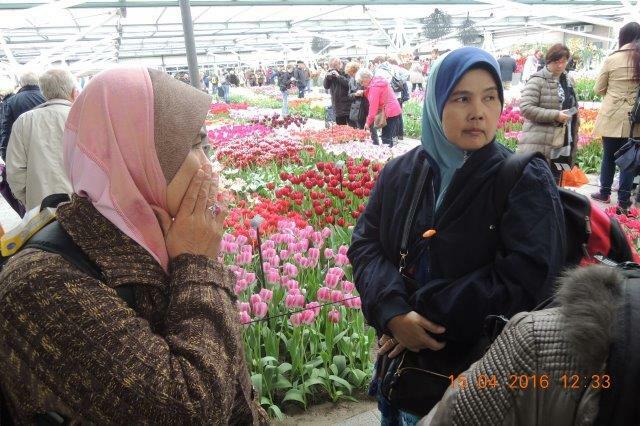 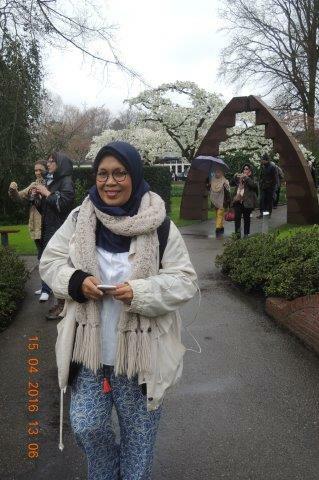 Keukenhof ("Kitchen Garden") also known as the Garden of Europe, is one of the world's largest flower gardens. 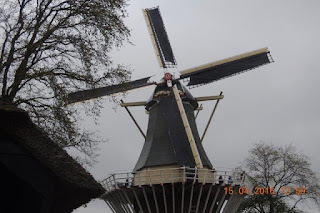 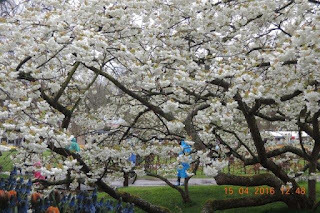 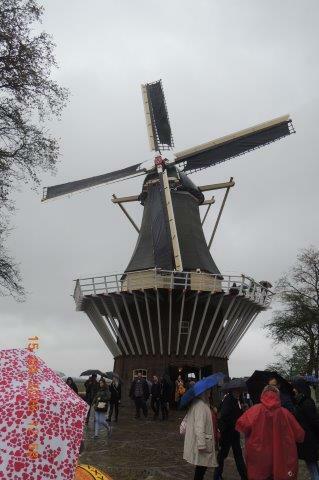 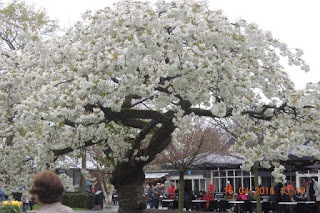 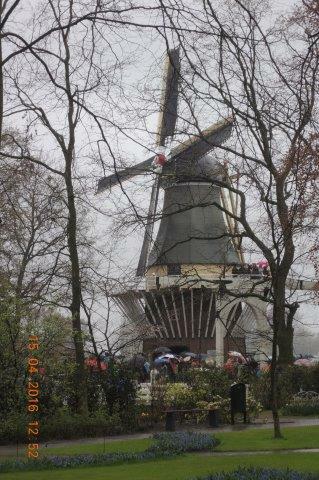 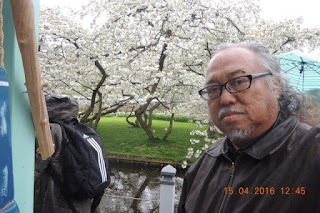 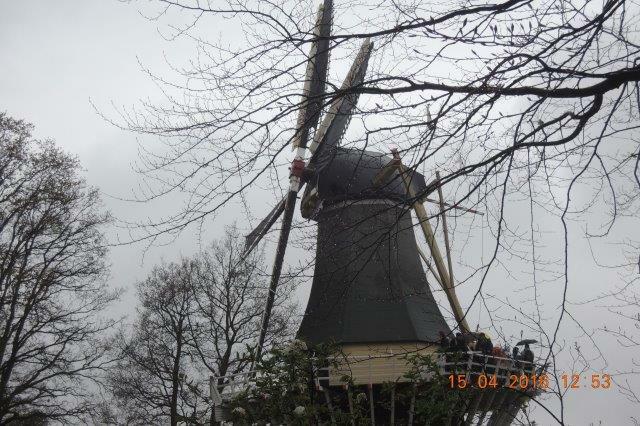 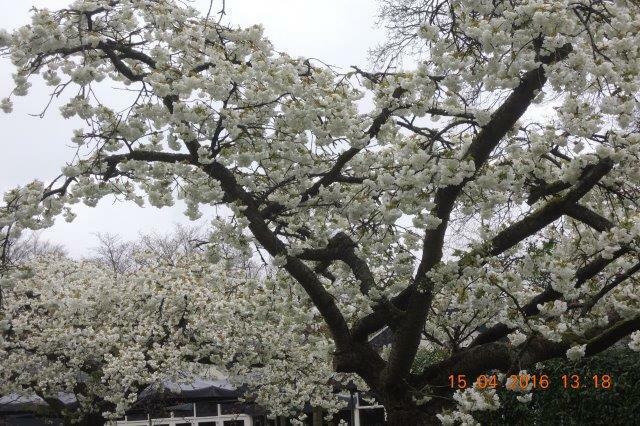 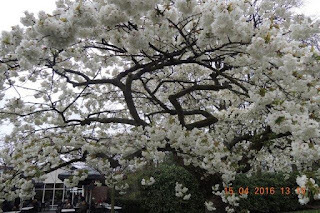 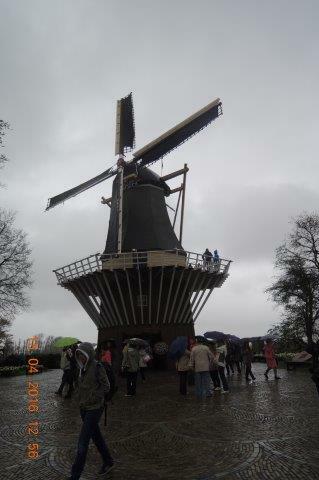 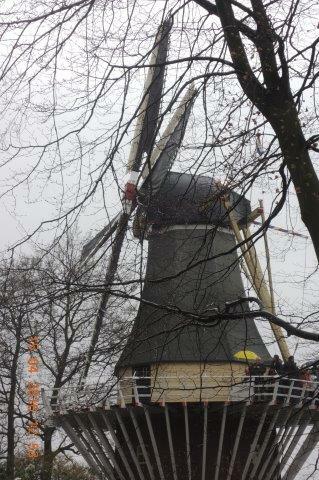 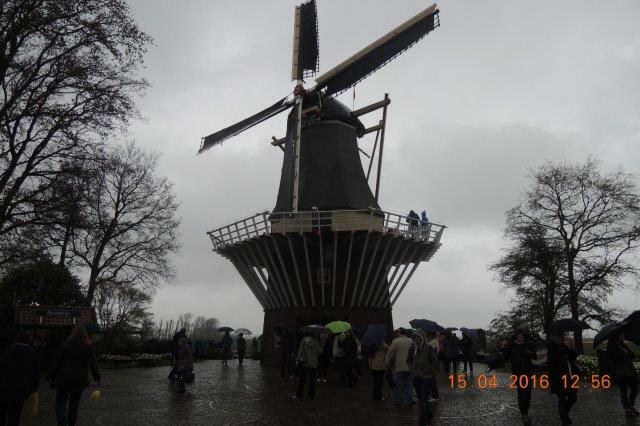 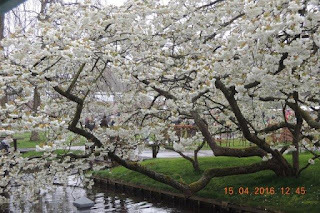 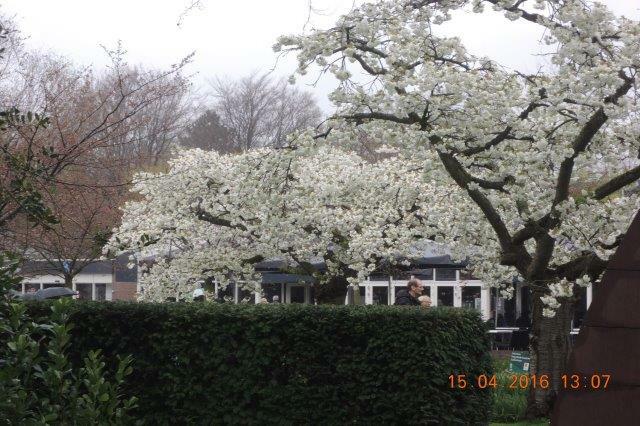 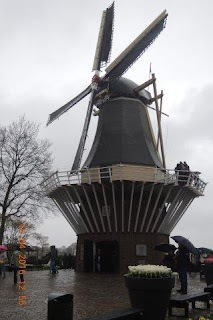 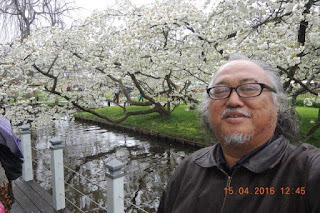 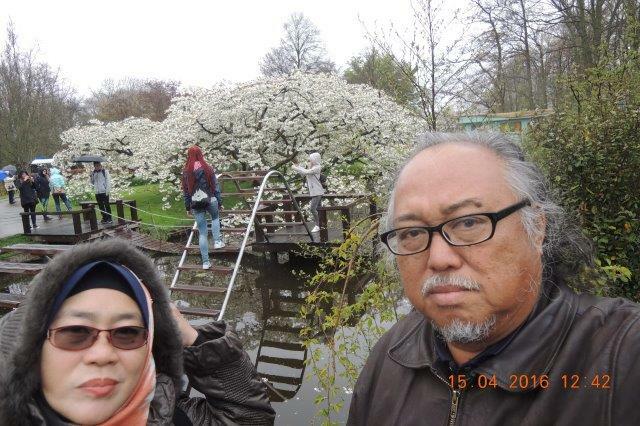 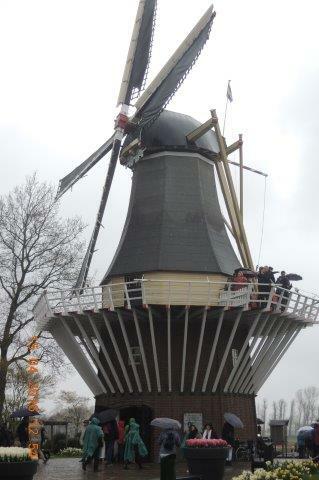 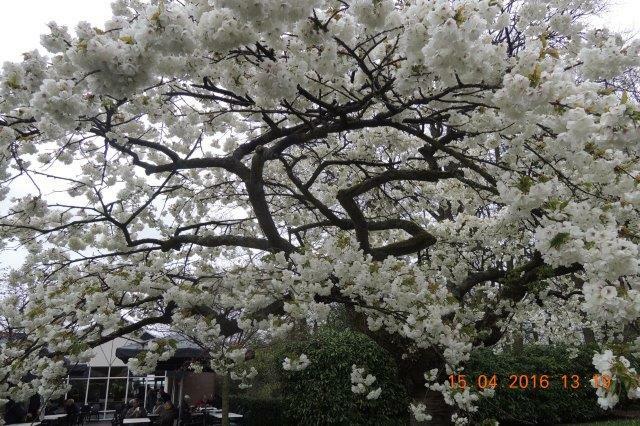 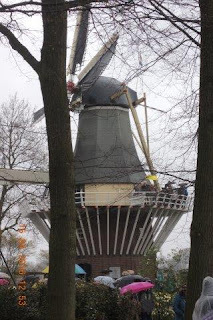 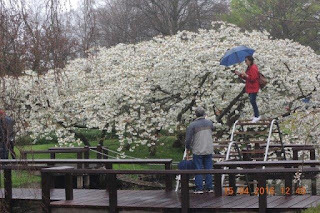 It is situated in Lisse, the Netherlands. 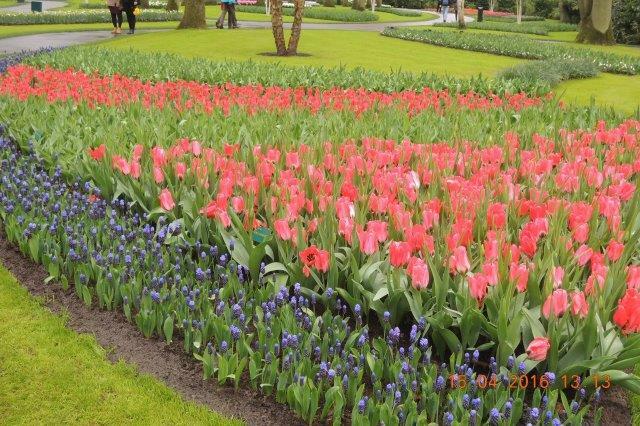 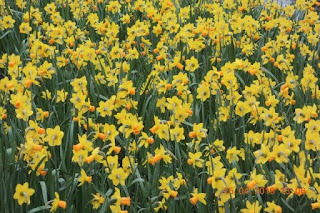 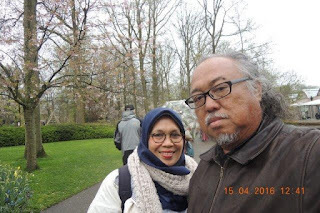 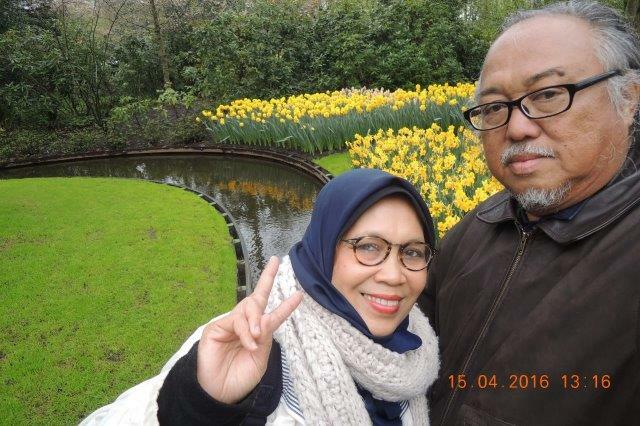 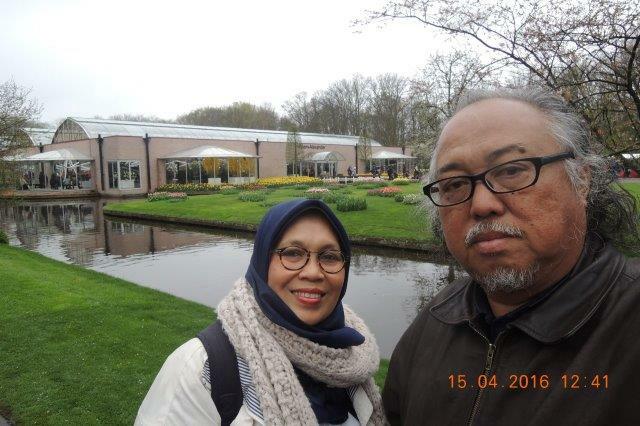 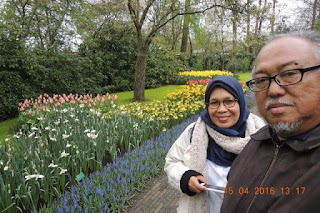 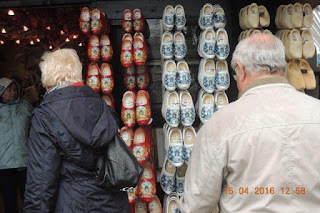 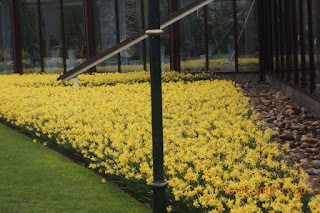 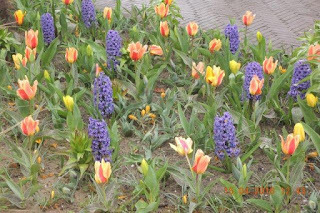 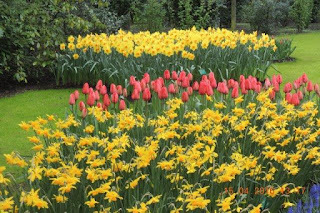 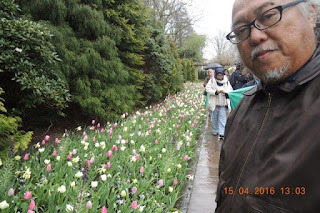 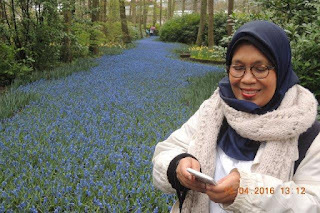 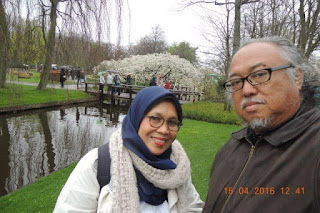 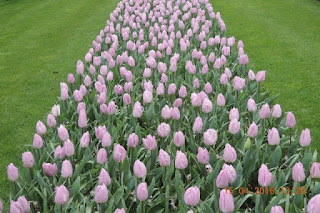 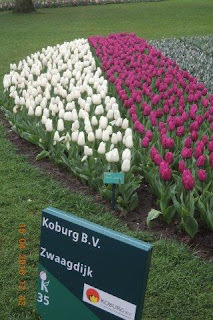 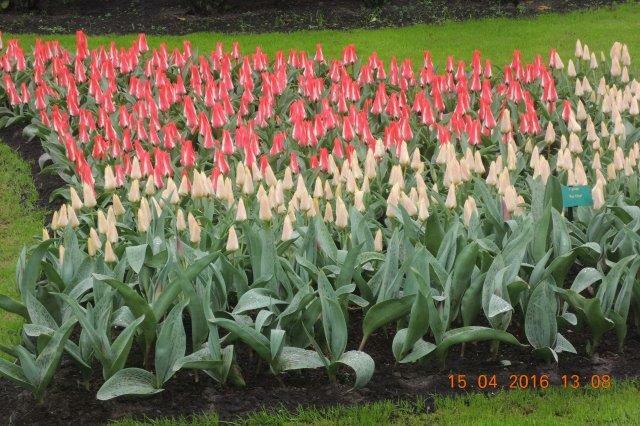 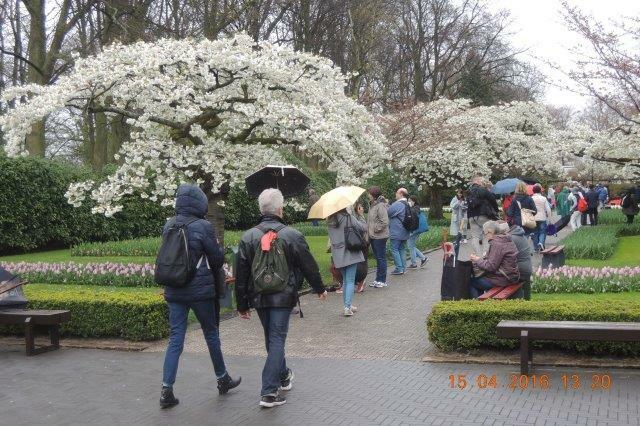 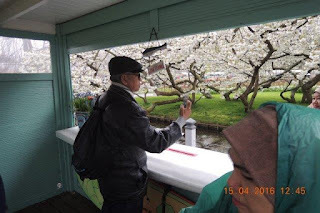 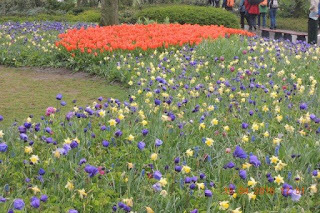 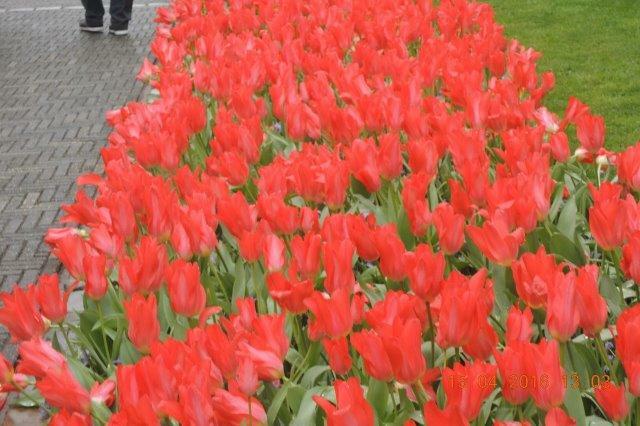 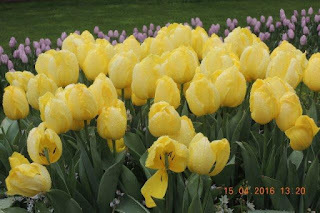 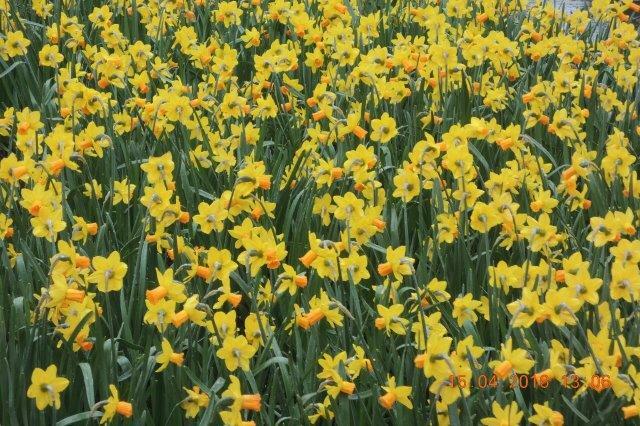 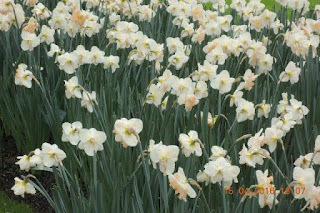 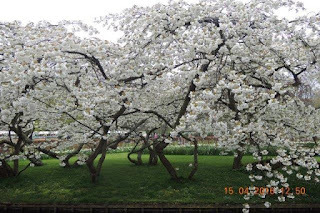 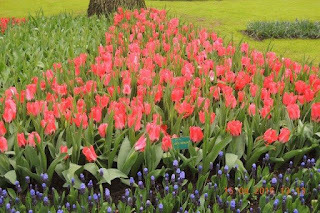 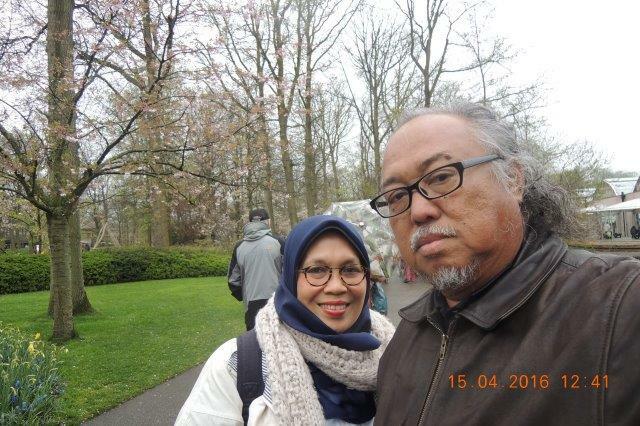 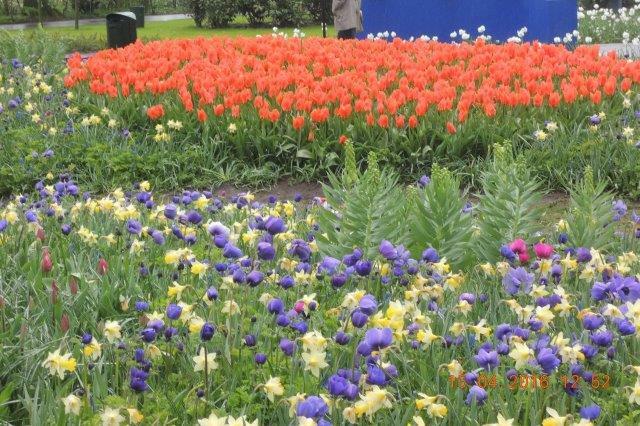 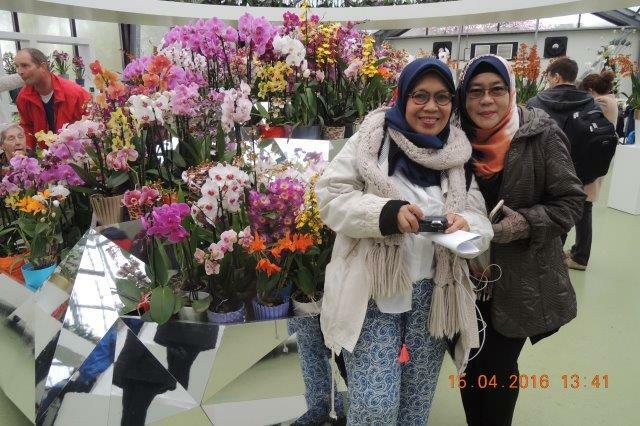 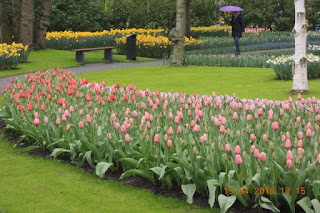 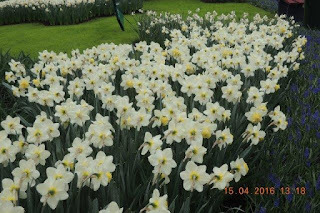 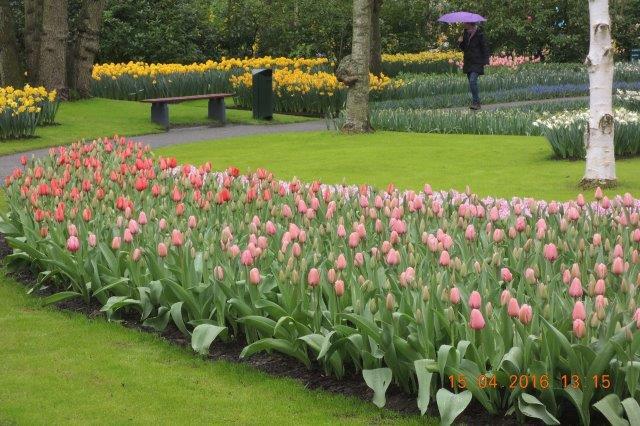 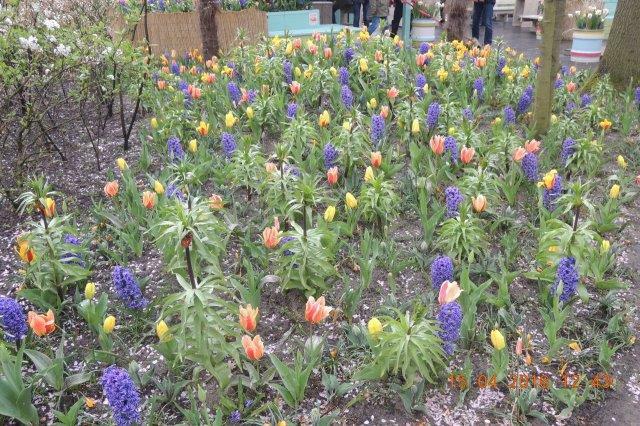 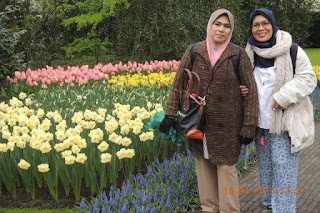 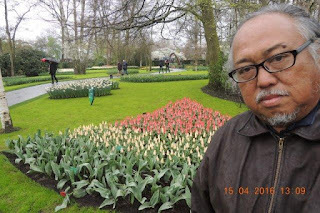 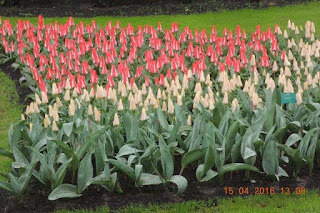 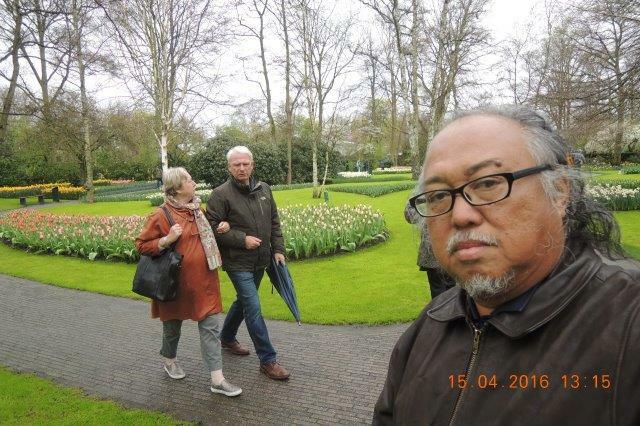 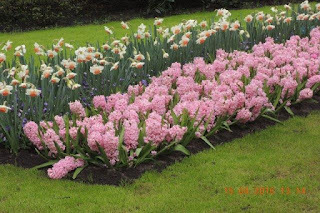 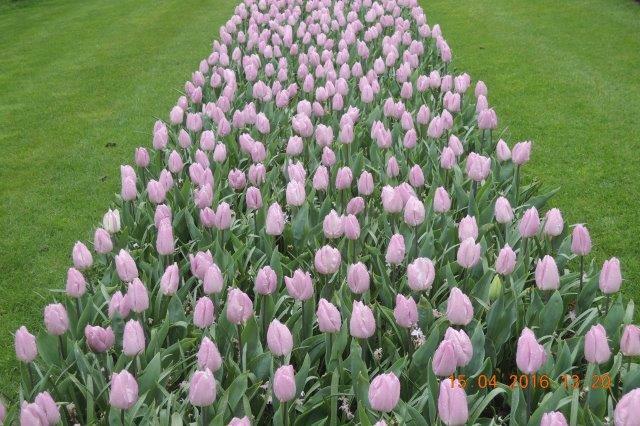 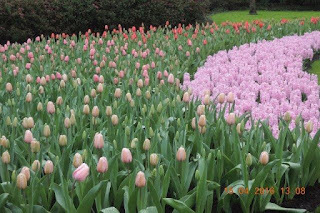 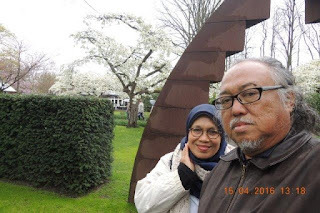 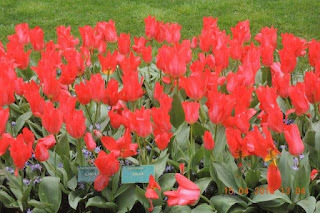 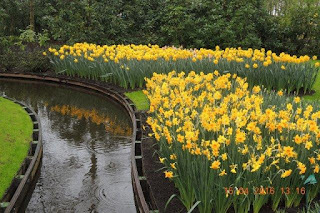 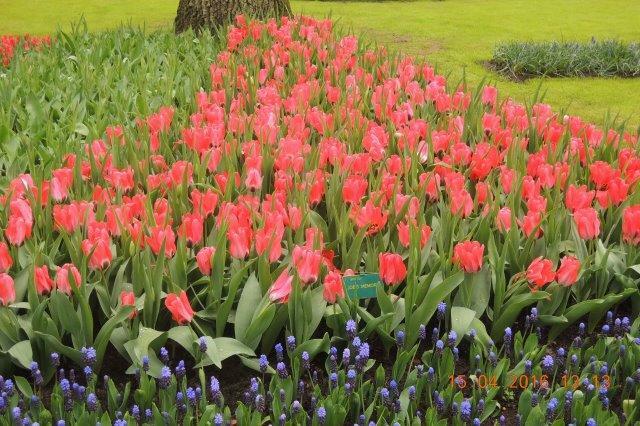 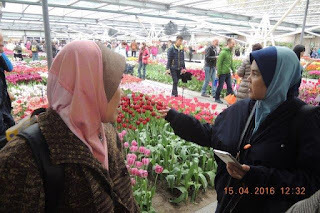 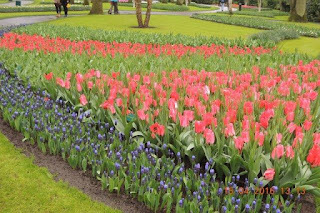 According to the official website for the Keukenhof Park, approximately 7 million flower bulbs are planted annually in the park, which covers an area of 32 hectares (79 acres). 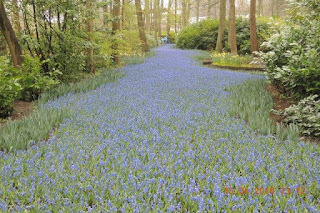 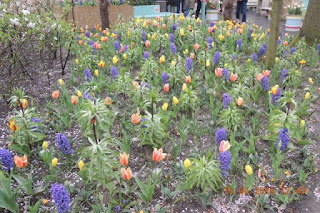 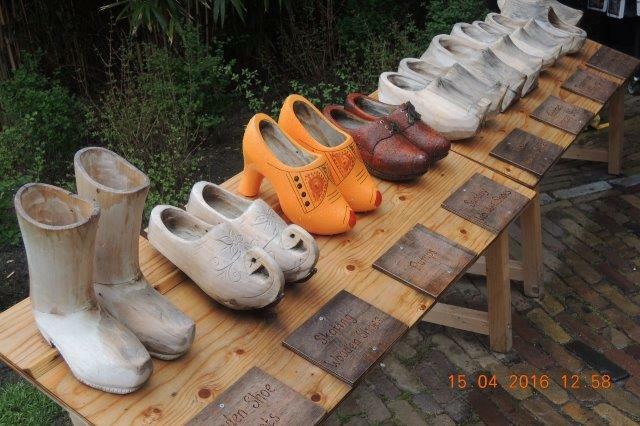 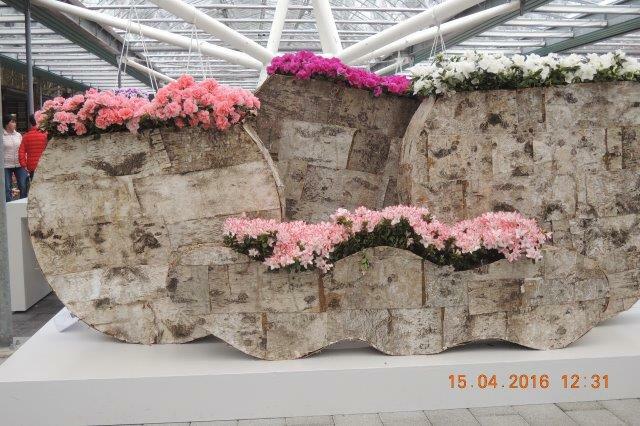 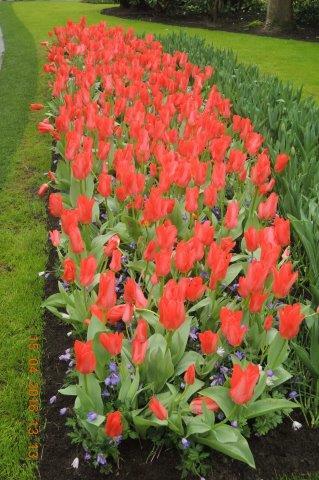 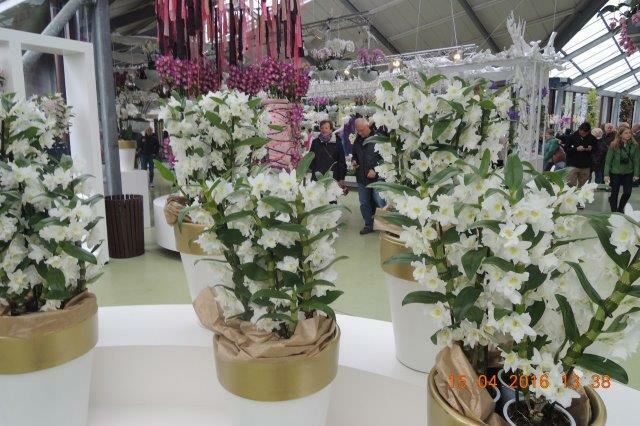 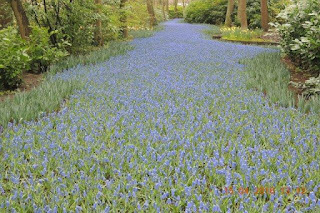 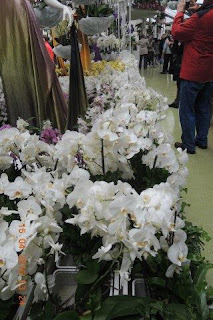 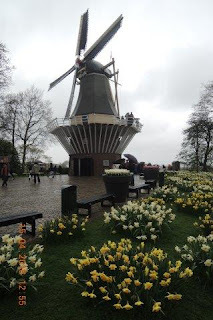 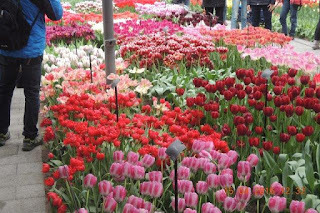 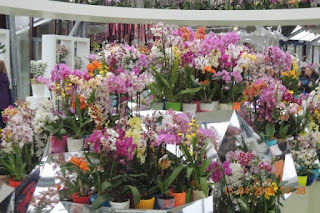 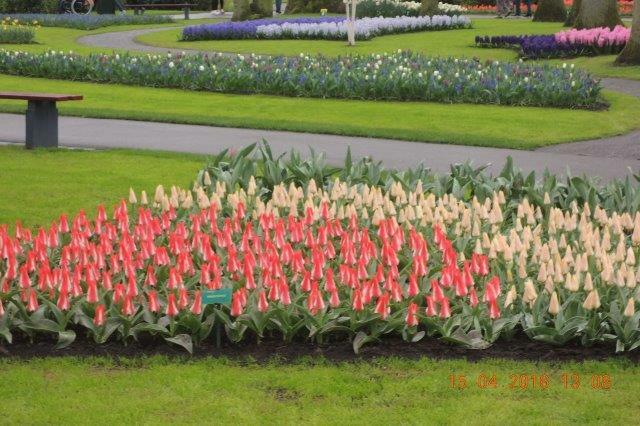 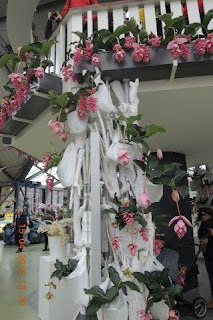 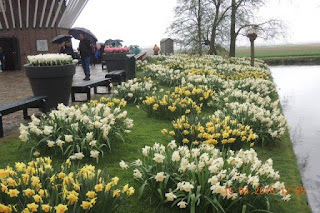 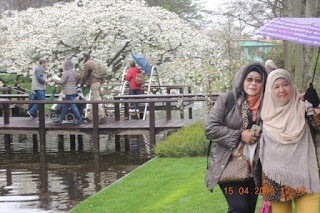 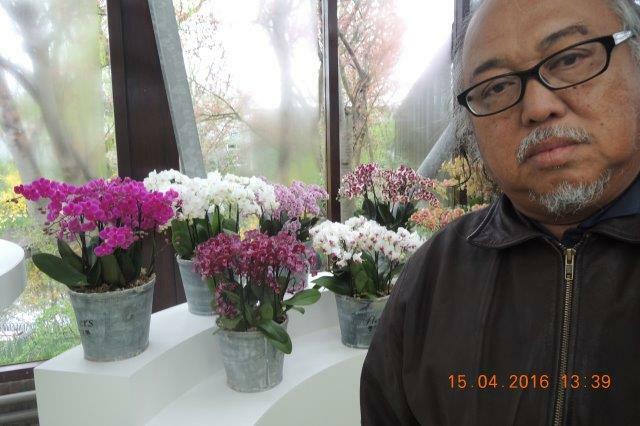 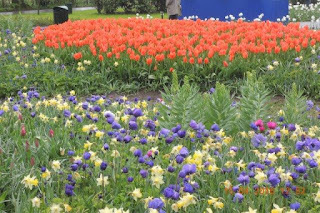 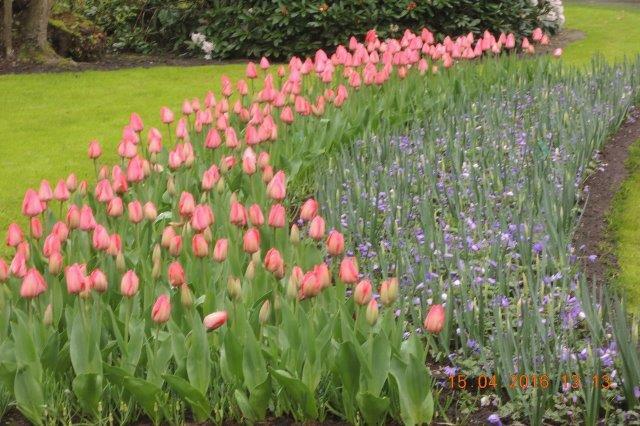 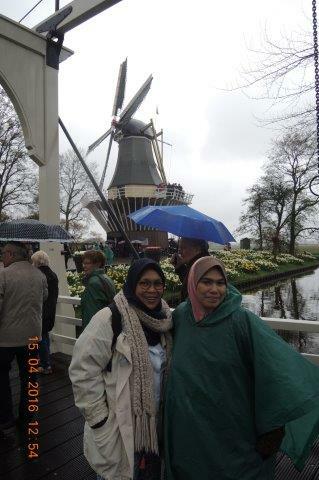 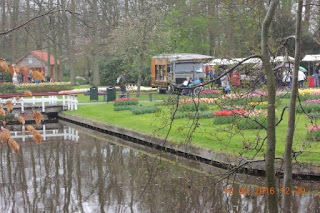 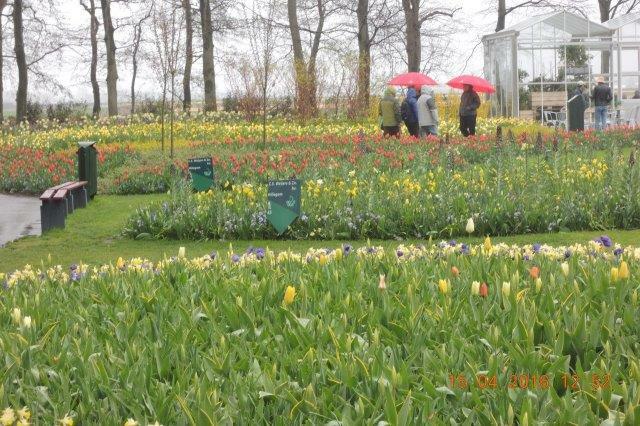 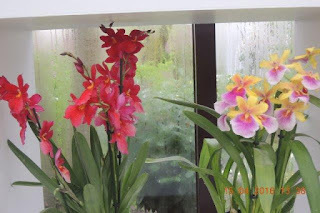 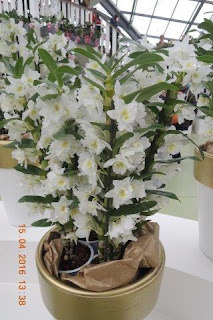 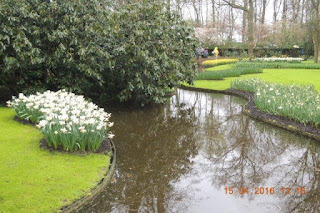 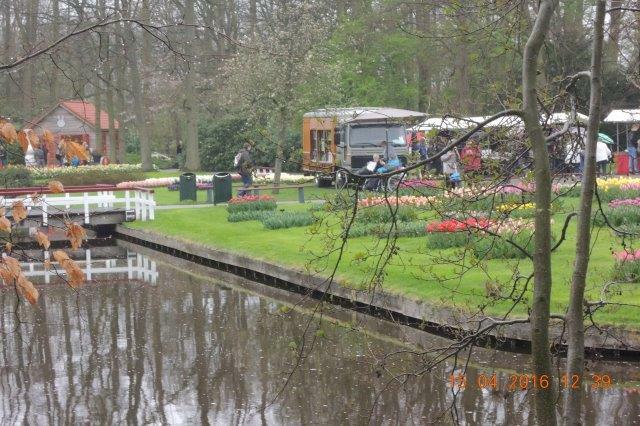 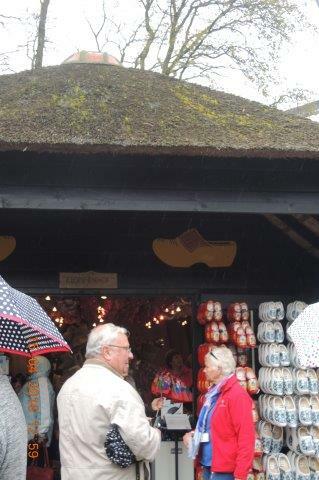 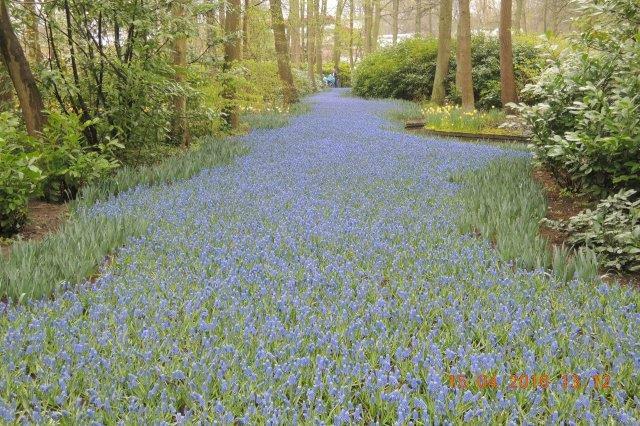 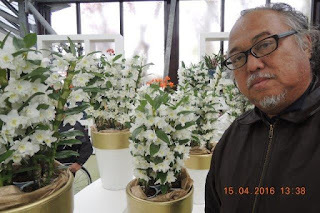 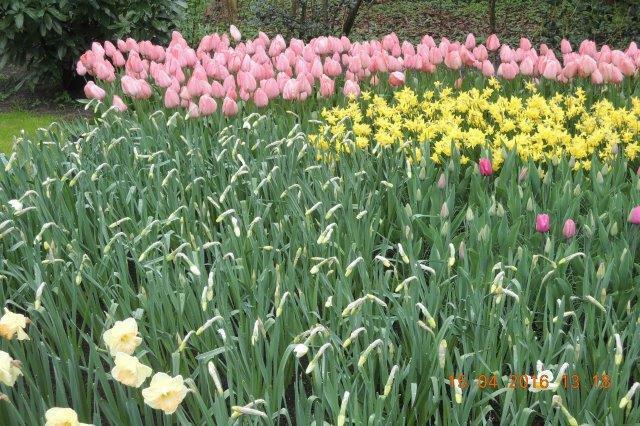 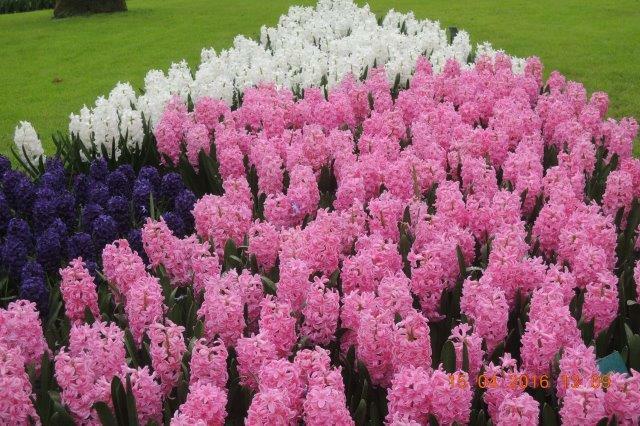 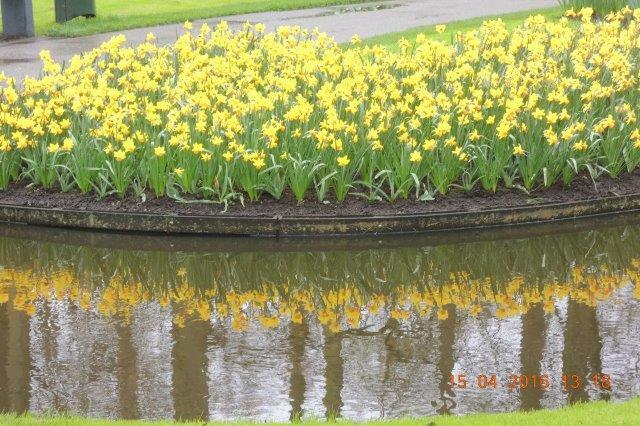 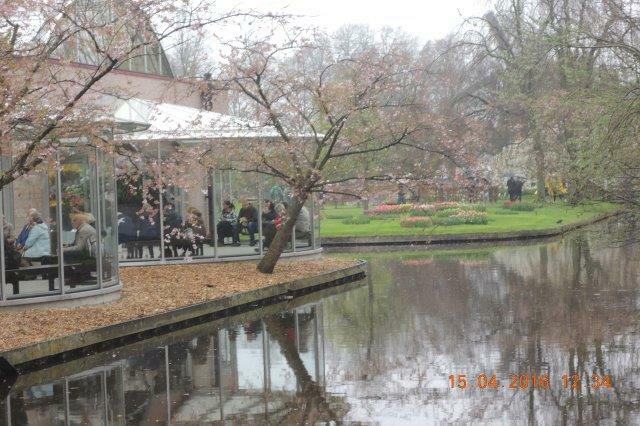 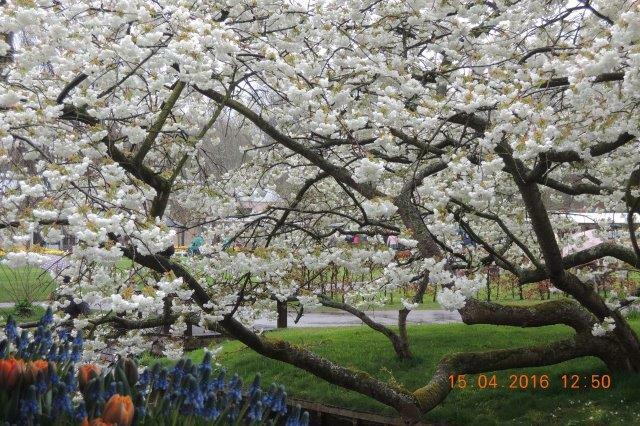 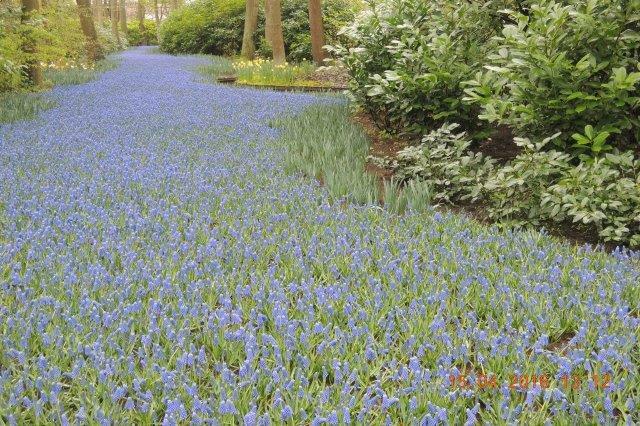 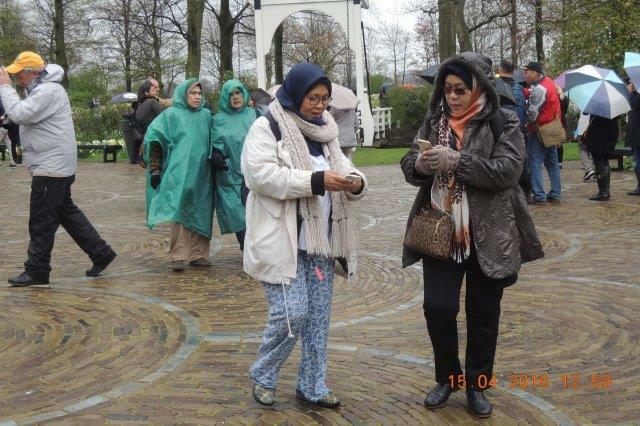 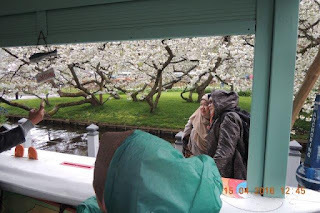 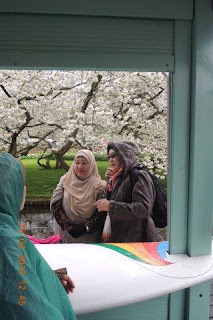 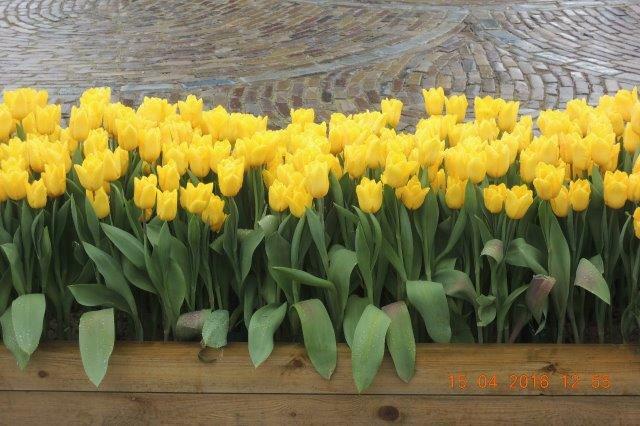 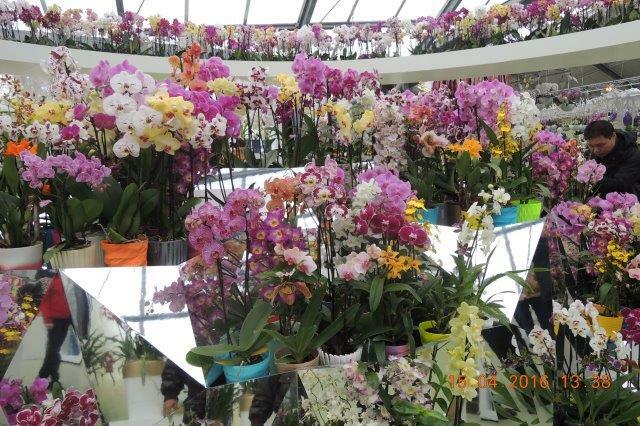 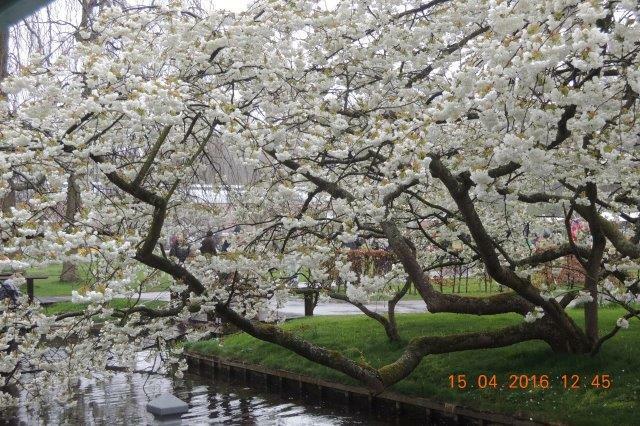 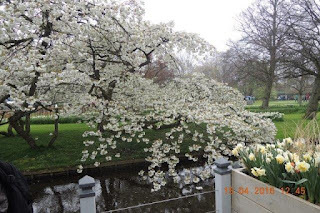 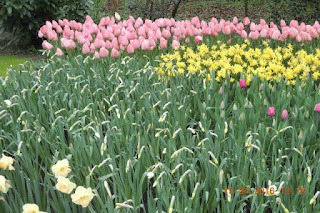 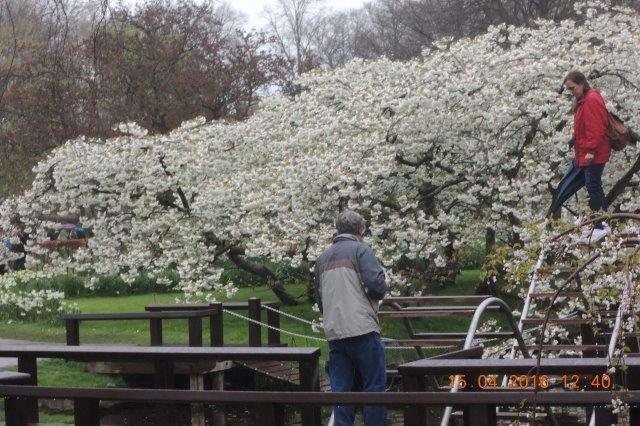 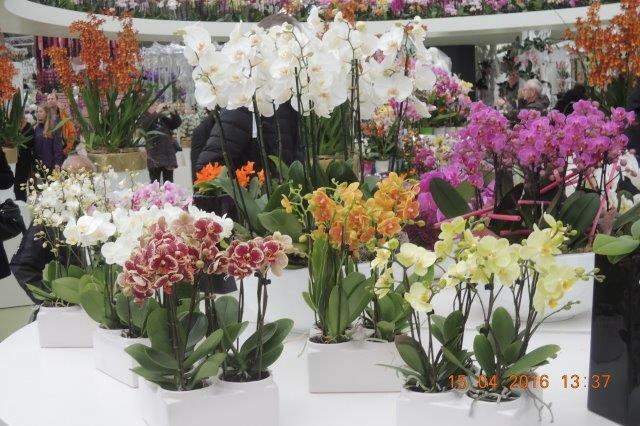 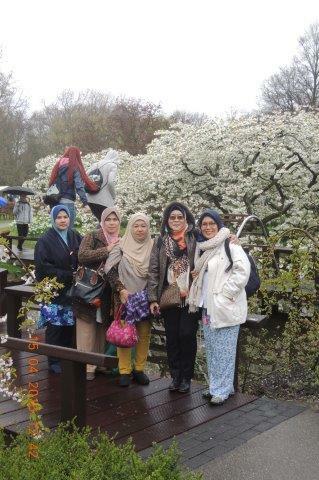 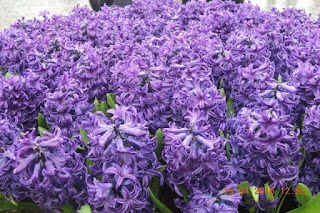 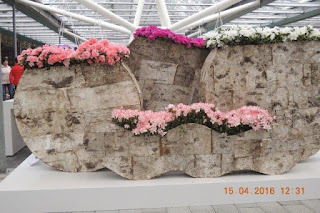 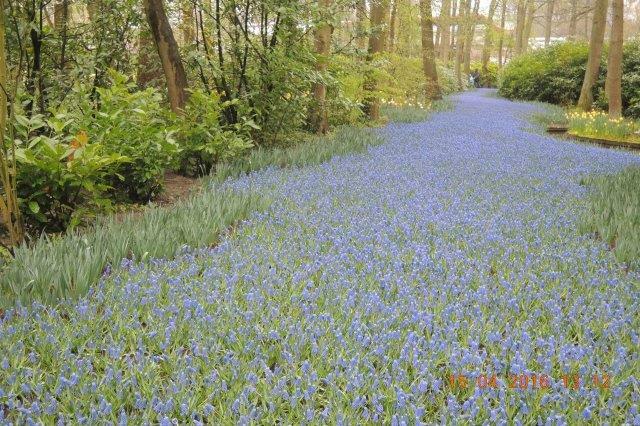 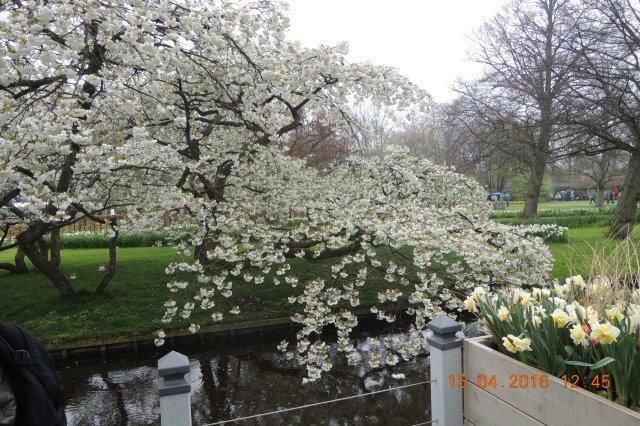 Keukenhof is located in South Holland in the small town of Lisse, south of Haarlem and southwest of Amsterdam. 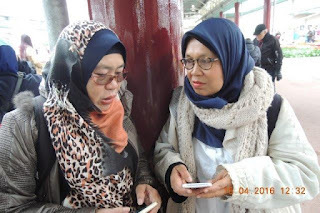 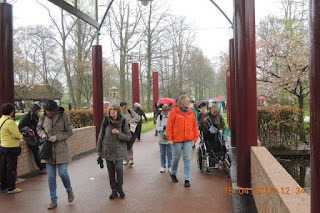 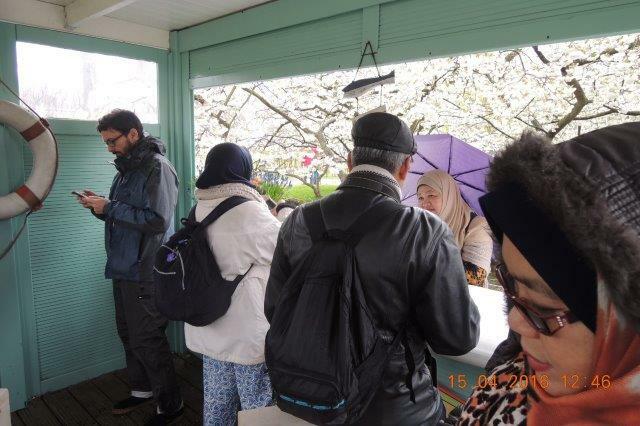 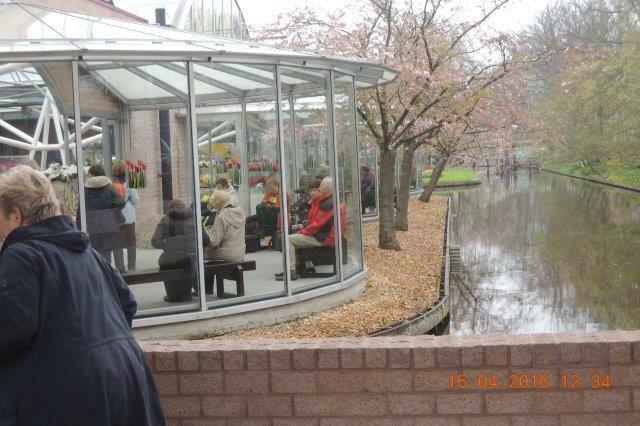 It is accessible by bus from the train stations of Haarlem, Leiden and Schiphol. 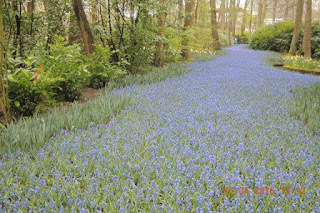 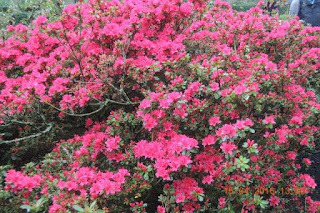 It is located in an area called the "Dune and Bulb Region" (Duin- en Bollenstreek). 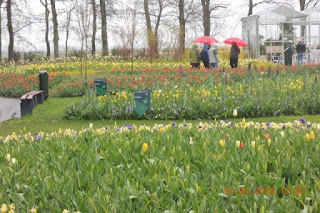 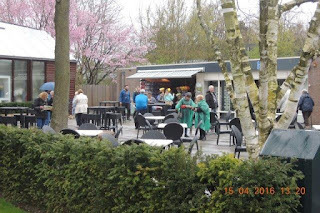 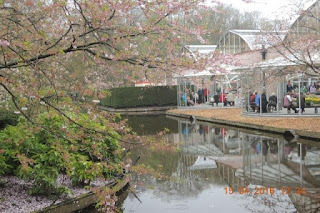 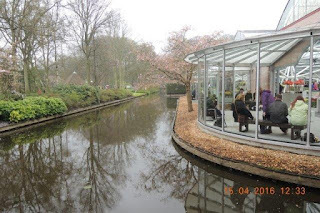 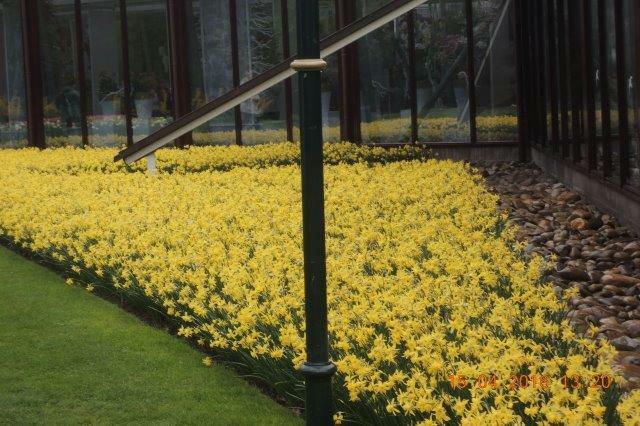 Keukenhof is open annually from mid-March to mid-May. 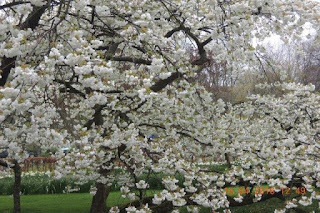 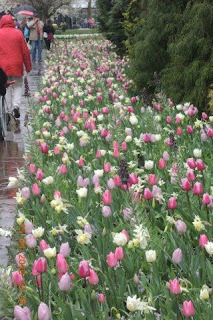 The best time to view the tulips is around mid-April, depending on the weather.